The Semiahmoo First Nations this week issued notices to all the non band members living on the Semiahmoo First Nations land reserve. Chief HARLEY CHAPPELL has informed the renters they will be required to pay $50,000.00 to hook up to the new sewer and water system once the major project is completed. According to CHAPPELL the $10 million dollar federal grant specifically stated the money was to be used solely for the benefit of current band members. 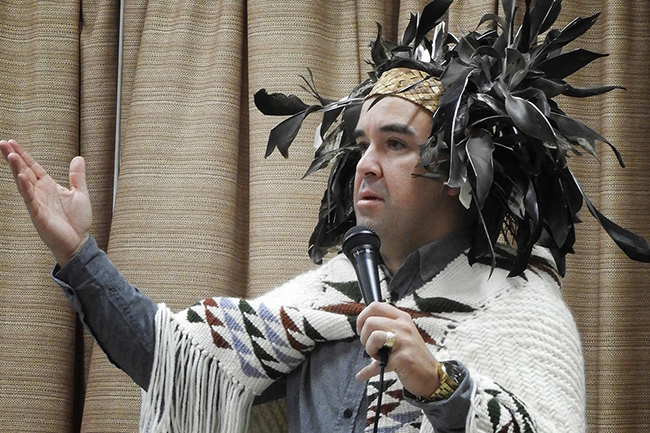 CHAPPELL informed the non band renters, some who have been renting land on the reserve for decades, they would be required to pay the $50,000.00 levy prior to June 15 or vacate their premises. There are currently 36 non band residents that will be affected. 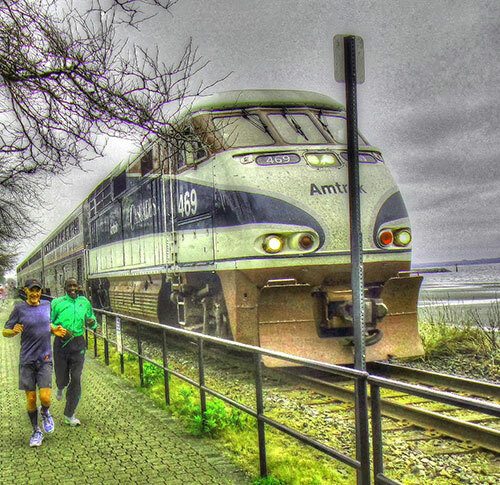 AMTRAK service between Seattle and Vancouver will be suspended until the weekend. An early morning slide on Wednesday closed the tracks to all rail traffic. Freight trains were allowed to travel the route once the debris was removed from the track surface. By law passenger service cannot run through an area for 48 hours following a slide. 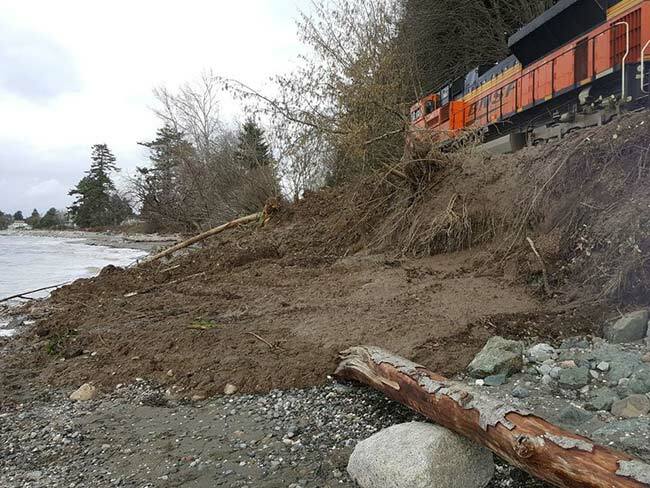 GUS MELONAS of BNSF's office in Seattle stated he was surprised about the the slide as normally =slides on the corridor between White Rock & Crescent Beach normally happen after a heavy rainfall. Surrey: The Integrated Homicide Investigation Team (IHIT) is requesting public assistance to advance its investigation into the homicide of a Surrey man. The TRANSLINK TRAVELLING ROADSHOW dropped into the White Rock Community Centre yesterday afternoon. A full complement of staff from TRANSLINK was on hand to answer questions by the members of the public that actually took the time to attend. 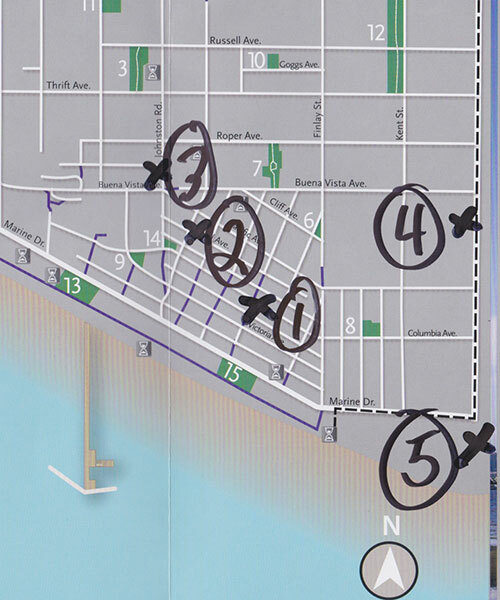 The general feeling in the room was the proposed new system of starting and ending all 351 buses @ White Rock centre (North BLuff & Johnston) would be a major adjustment for any commuters west of White Rock centre all the way to Crescent Beach. 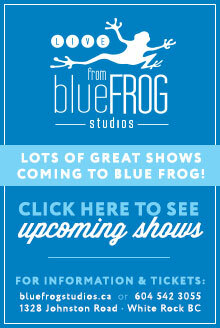 (click here for more information and local dates to attend). 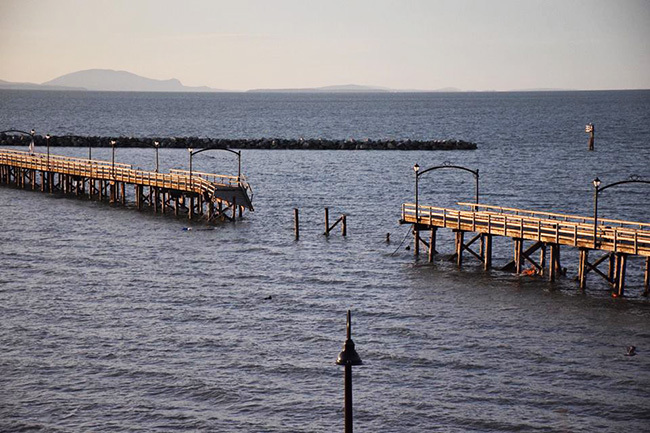 White Rock council endorsed the staff recommendation to award a contract to repair our world famous pier which was heavily damaged in December. Work is expected to begin within 2 weeks with a completion date of August/September 2019. The remaining parts of the pier will be replaced over the next two years in the offseason.
" At this time we are expecting 3.1 million to be paid for by insurance. The actual amount of insurance proceeds will not be finalized until the adjusters review the scope of work done and ll the invoices are submitted. 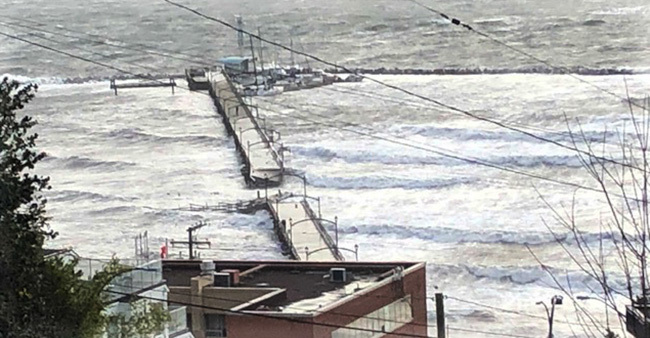 The city is expecting to be reimbursed through insurance by putting the pier back to today’s standards and possibly the rest of the pier, we don’t have that answered yet? " For years South Surrey commuters have chuckled when they noticed the sign of the bed and breakfast just across the ditch in Washington State. ROBERT JOSEPH BRULE who has owned and operated the Smuggler's Inn for 20 years has now been charged with 21 counts under the immigration act. It is alleged he recently aided 7 people to enter Canada illegally. BRULE is in custody in Surrey pending a bail hearing. Vancouver and Surrey’s #SmarterTogether program is a bold vision to create Canada’s first two collision free multi-modal corridors. 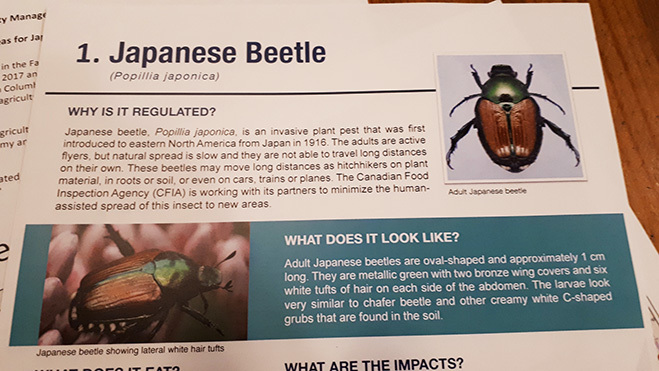 Have you heard about the Japanese beetle? I received a rather interesting package in the mail today for my Green Team commercial gardening business marked URGENT. 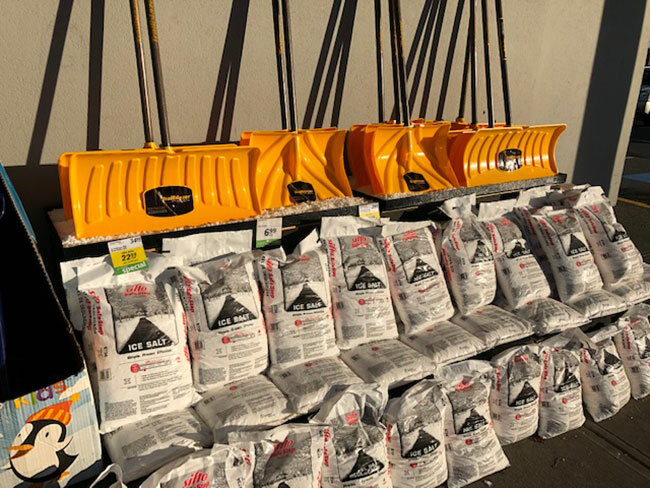 It turns out downtown Vancouver is infested with them and moving soil out of the city core without a permit will now get you fined $500 - $10,000. Movement restrictions on soil and plants with soil is year round. From June 15 - Oct 15 during flight period of adults, movement of all plant parts is restricted including grass clipping and leaves. A temporary transfer station will open June 15 at W 1st Ave at Wylie St. to process green waste. 2. CFIA Guidance for the movement of plants, plant parts and soil leaving regulated area in Vancouver. 3. Regulated Area of Restricted Movement Map. 4. 'Notice to Treat' for landowners and property managers. 5. Japanese Beetle Treatment areas, City of Vancouver. 6. Japanese Beetle ID card. 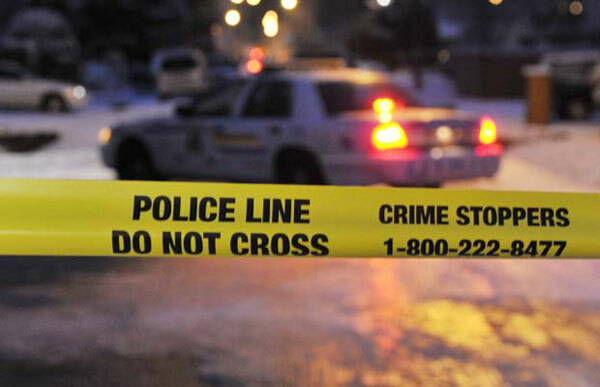 At approximately 9:00 pm on Monday, April 1, Surrey RCMP received a report of shots fired in the 15300 block of 102A Street. Witnesses reported seeing a blue sedan fleeing the area. A short time later, Surrey RCMP received numerous 911 calls reporting a serious multi-vehicle collision involving a blue sedan near 156 Street and 100 Avenue. Surrey RCMP Frontline and Gang Enforcement officers, along with the Integrated Police Dog Service, quickly attended and secured both scenes. Officers located one man with apparent gun shot injuries, and a second man with serious injures which are believed to be a result of the collision. Both of these males were transported to hospital in serious condition. Three other males were located at or near the collision scene and taken into custody. 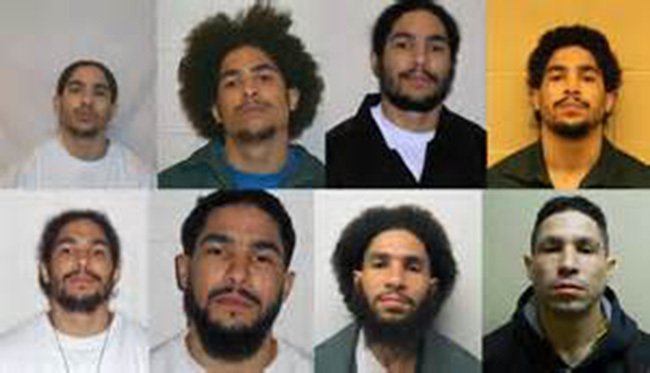 All five of these individuals are currently detained by police for investigative purposes. Firearms were located and seized at the scene of the collision. The investigation is still in its early stages, but initial indications are that this is a targeted incident related to the ongoing Lower Mainland gang conflict. Local part time historian, ukulele player of note and roving cameraman at Blue Frog studios, TOM SAUNDERS thought he would have a little fun with the community yesterday. With it being APRIL FOOLS he created the image above and posted it up on FACEBOOK. The funny and scary part is some people thought it was real. Nancy Powell Knight Not Fricking likely!!! April Fools!! Howard Roo I like it, it works. Brings some character to the uptown area. Brenda Graham Apter Nancy Powell Knight , well I had a moment there when I wondered. I don’t get back to WR often, but when I do I’m usually horrified by some development project. Portland officials attempt to block 5G network installation over health risks - what will White Rock & Surrey do? Recently the Peace Arch News featured a story on a gentleman by the name of CARL KATZ who along with many others suffers from EMF electro magnetic frequency pollution emanating from cell towers. The forthcoming installation of 5G systems take that conversation to a whole new level. Start your letter writing campaign NOW! 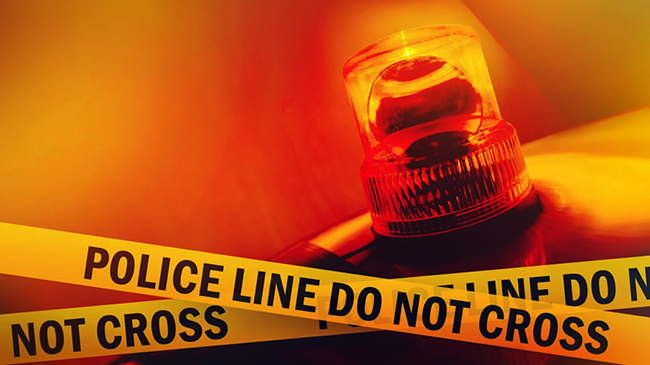 Surrey: On March 26, 2019 at approximately 10:30 a.m., the Surrey RCMP received reports of a single vehicle collision on the 32 Avenue diversion under the Highway 99 overpass. Emergency responders arrived on scene and found three people inside the vehicle. The deaths were suspicious and IHIT was called in to take conduct of the investigation. IHIT will continue to work with the B.C. Coroners Service on this investigation. There are no further details to provide and there will be no media availability. 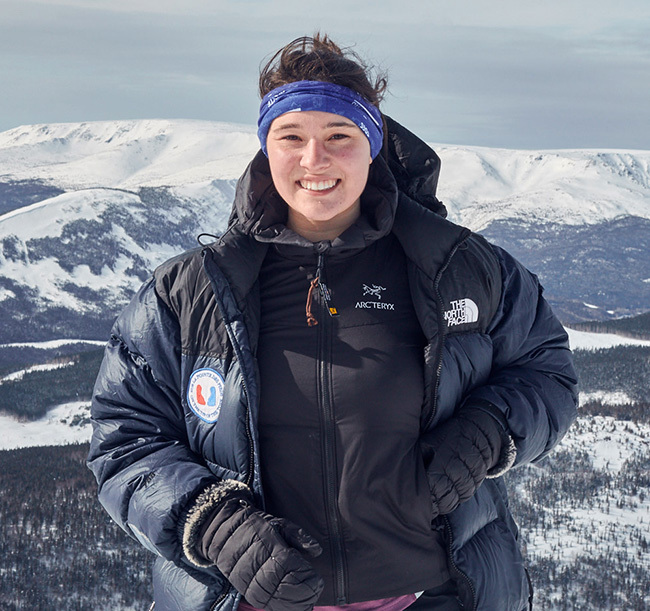 From March 9–16, eleven youths in cancer remission aged 19 to 29 had a unique winter expedition experience in the Chic-Chocs, thanks to support from the Air Canada Foundation. Organized by the On the Tip of the Toes Foundation, this journey on a mountain range in the central region of the Gaspé Peninsula in Quebec, brought together young people from Ontario, Quebec and British Columbia, selected by the medical staff of various oncology centres across Canada. Serena Bonneville, a 22-year-old marketing and communications consultant from White Rock, was part of this group. The Foundation, specialized in therapeutic adventure, organizes, since 1996, expeditions intended for young Canadians undergoing cancer treatment or in cancer remission. “These expeditions offer participants the opportunity to change the environment and interact with other young people with cancer who, like them, go through the same ordeal. These youths return home changed, ready for a fresh start, and strengthened by a source of motivation that will accompany them throughout their lives”, says Jean-Charles Fortin, Director of the On the Tip of the Toes Foundation. Accompanied by On the Tip of the Toes Foundation facilitators, a medical team and local guides, participants had the chance to experience the beauty of this exceptional Quebec region. After spending a few days at their base camp to get familiar with the terrain and equipment, the participants took a narrow coniferous path to begin the Mont Vallières-de- St-Réal ascent. The City of White Rock’s Water Treatment Plant is ready to be fully operational. 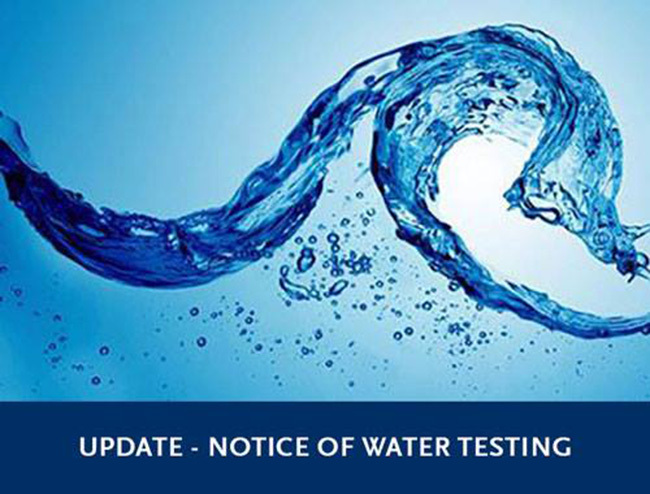 The Water Department will continue operational testing until Tuesday, April 2, 2019. During this operational test period, a potential increase in turbidity might occur in the water supply due to some of the Manganese deposited on the pipes from previous years of operation. We advise the public to flush their taps until the water becomes clear. 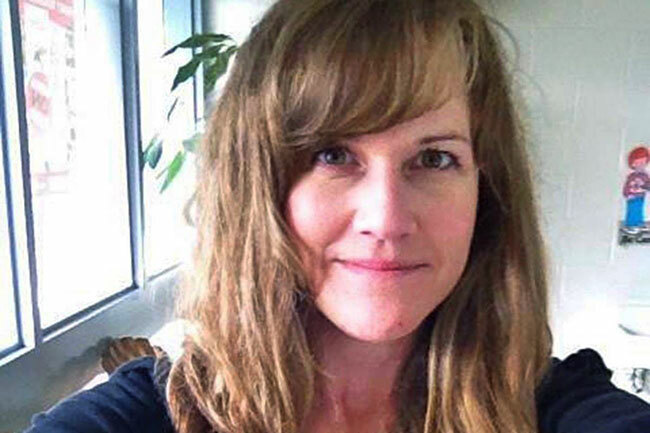 A packed courtroom in New Westminster where Lisa Batsone has been found guilty of killing her daughter five years ago. 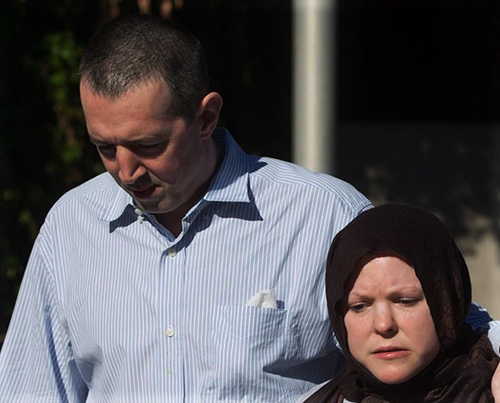 The Surrey mom smothered her 8-year-old daughter Teagan in Surrey in December 2014. Do date has been set for sentencing. Well we are Front Page news again, for all the wrong reasons. Can you help identify this suspect in a sexual assault investigation? 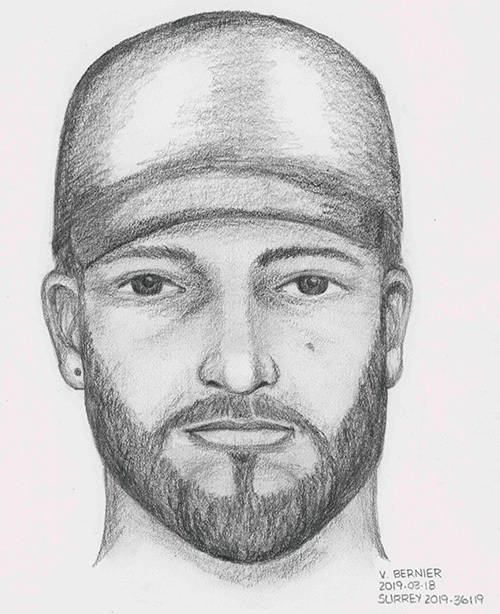 Surrey RCMP is releasing two composite sketches of a suspect in a sexual assault which occurred in the Newton area. On March 13, 2019, at approximately 9:30pm, a woman was grabbed from behind and groped by an unknown man as she was walking northbound on 124th Street near 72nd Avenue. The woman was able to get away from the man, however, he followed her to her front door and attempted to assault her again. The female managed to get inside her residence without him doing so. The man was last seen heading southbound on 124th Street. The male suspect is described as 5'10'' tall, with a skinny build and a short black beard. His ethnicity is unknown. He was wearing a black baseball hat and a long black jacket with a creamed coloured shirt underneath. The public is requested to look at the composite sketches and call police if they can help to identify this person. 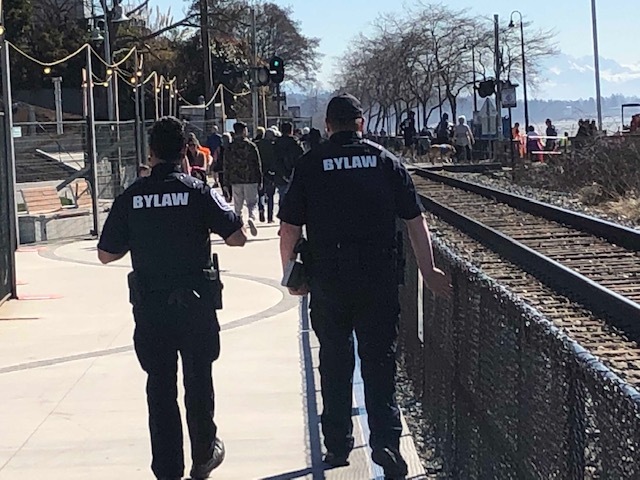 White Rock by-law officers have stepped up their patrols along the waterfront promenade. A few residents have been confused regarding when the on leash trial period for dogs comes into effect on the city's waterfront walkway. 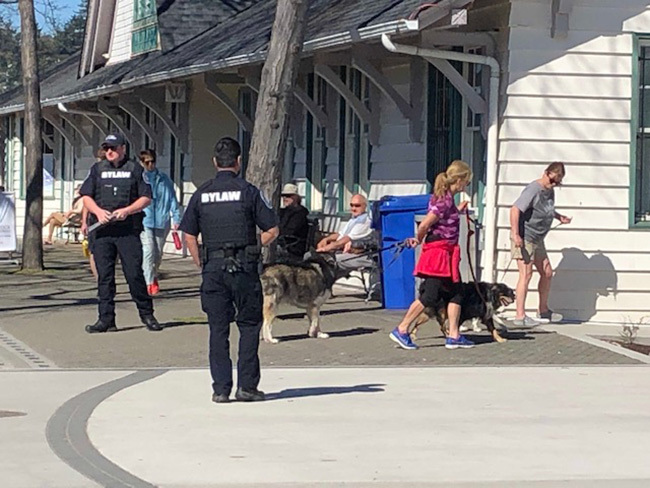 The by law officers yesterday stated they have seen some dogs on the promenade but the number is very small and when approached by the by law officers and have the by law explained, the visitors to the walkway with their dogs are very polite and simply leave the area immediately. 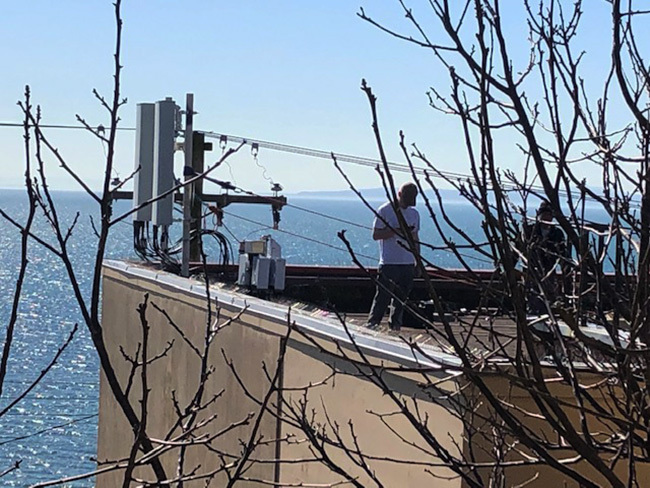 Telecommunication companies are hoping to restore cell coverage on the White Rock waterfront in the near future. 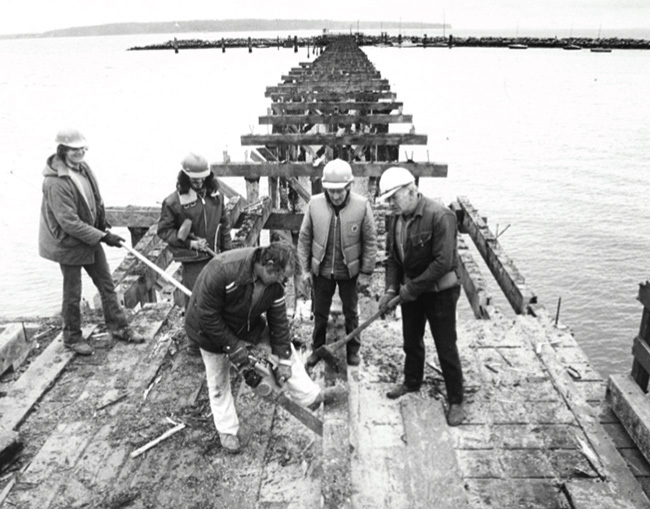 In December when the White Rock pier was damaged the cable for the cell tower at the end of the pier was destroyed. Crews have been busy working installing new cell towers on the roof of the old post office at the corner of Martin Street & White Rock. 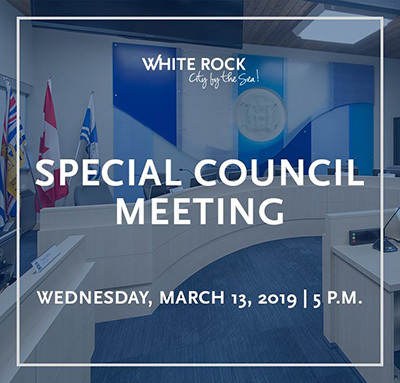 Wednesday evening White Rock council completed the regular Monday evening council meeting which was not complete due to a Public Hearing to deal with height and density along Johnston Road south of Thrift avenue. First on last night's agenda pertaining to this matter was the rezoning of the entire 1300 block on Johnston Road. The new height which will be allowed for that district of the city will be 4-6 storeys. 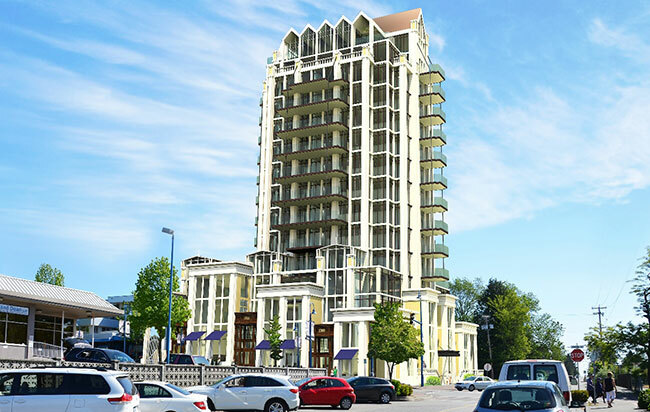 The aspect of the new zoning left the developers of the LADY ALEXANDRA (see illustration below) unable to construct their proposed 12 storey development. Council also moved one step closer to the issuance of a cannabis retail store. 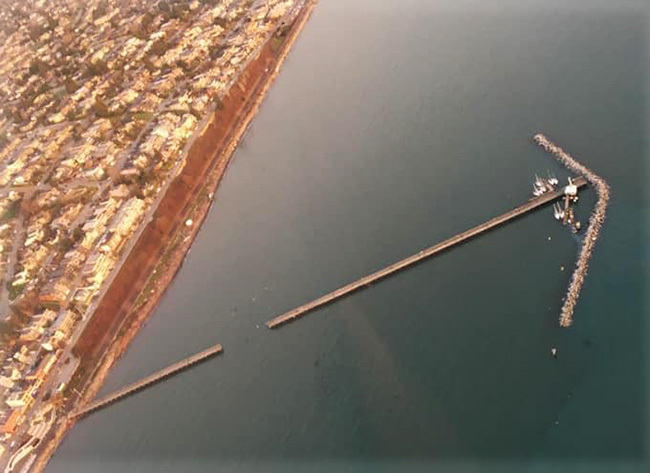 Council endorsed my motion to designate White Rock's pier as THE LONGEST PIER in Canada. 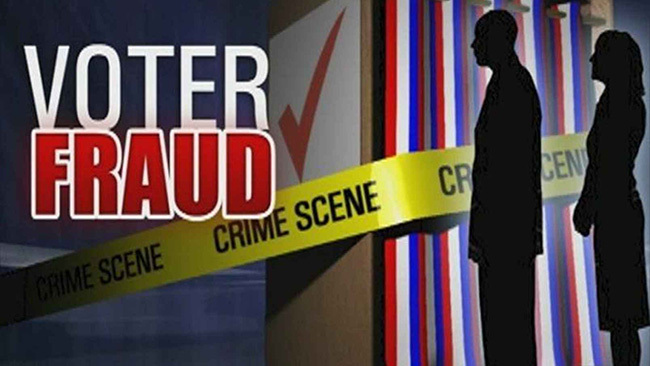 Surrey RCMP is in the final stages of their investigation into alleged election fraud during the civic election in September. 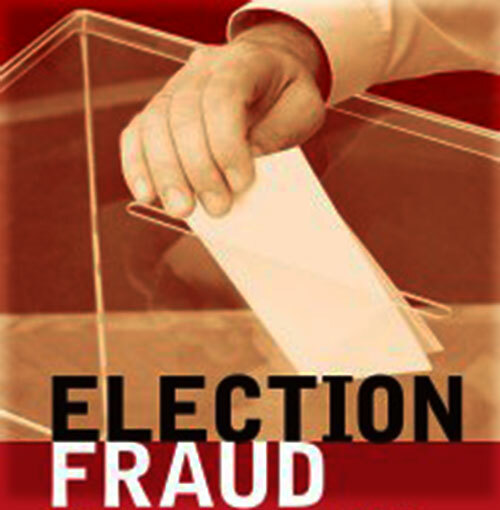 The civic party WAKE UP SURREY group made the election fraud which triggered the RCMP investigation. 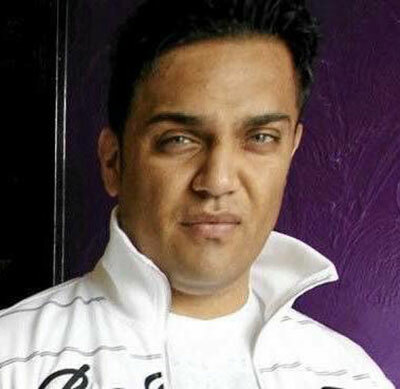 Punjabi journalist SINGH SAHOTA who was also a member of WAKE UP SURREY alleged several voters contacted him claiming they had been pressured by their employer or relatives to cast their vote in a certain manner. The RCMP will now present their findings to the crown to determine whether or not there is sufficient evidence to proceed with charges. Have you ever found yourself need a restroom when you are shopping or visiting the uptown area of White Rock? If it is during the day the community centre and or Semiahmoo Mall offer relief. But what about after hours or on the weekend when access is limited to these two public areas? 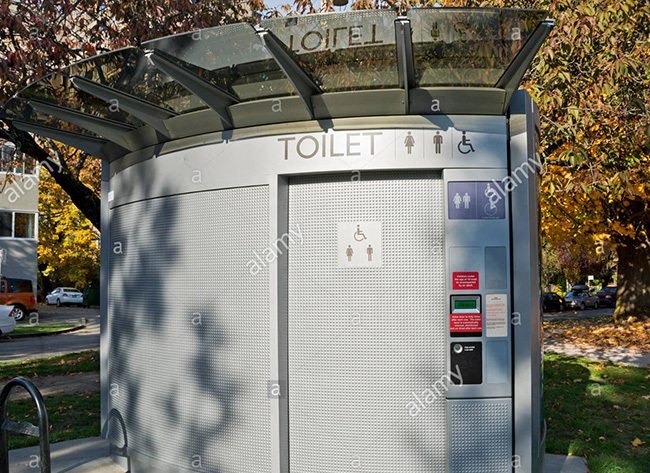 Vancouver has now installed over two dozen self cleaning public restrooms through out the downtown core and in city parks. 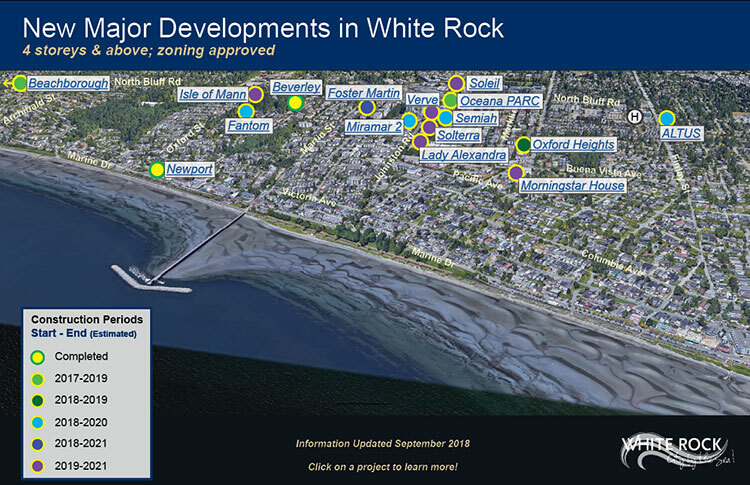 Do you think White Rock should explore installing at least one facility uptown? 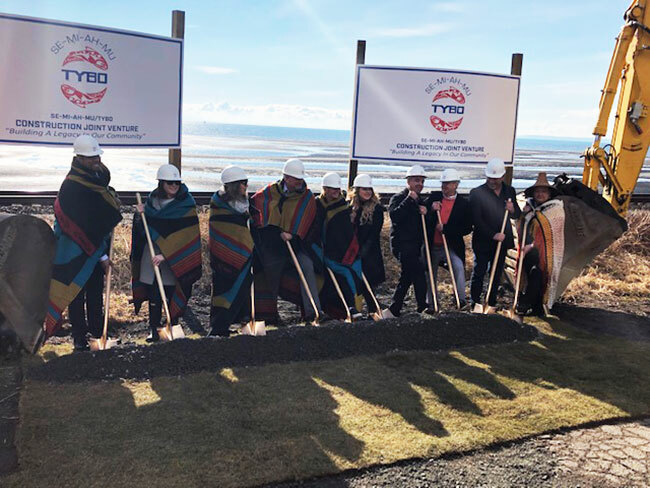 Members of Surrey council (Doug Elford/Laurie Guerra) Semiahmoo Council (Harley Chappell/Joanne Charles/Genine Cook) and Gordon Hogg representing the federal government joined other federal officials for a ceremonial sod turning yesterday afternoon. The occasion marks the beginning of construction for water and sewer lines to the band's land. Councillors Fathers & Chesney were invited guests of the Semiahmoo band for the special occasion. South Surrey/White Rock lost a couple gems that helped contribute and shape their community. Cliff Annable was a larger than life figure. A veteran, a Councilor for the City of White Rock, a Rotary Club member, BIA member and was the owner of the Surrey Eagles for what I believe was their highlight era to date. He cared about his community and the people in it. He cares about his friends. He cared deeply for my family, always asking how my oldest daughter Gracie Booth was doing whenever he saw me. I will miss seeing him and listening to him constantly rib me about various things (if they don’t bug ya they don’t like ya). 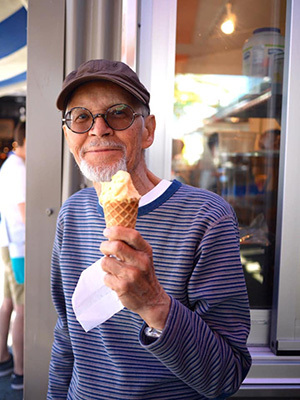 Rest well Cliff. You’ve earned it. 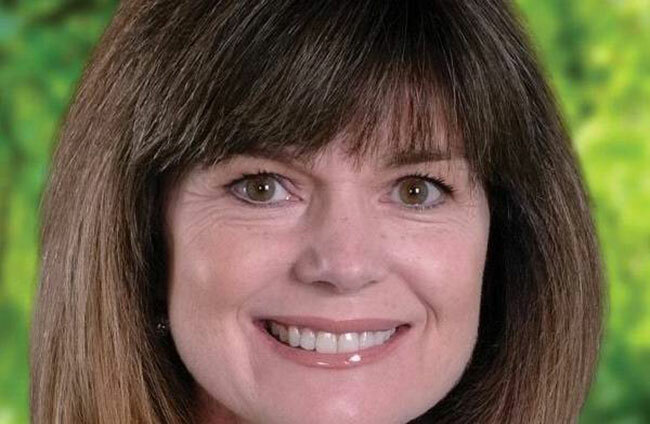 The Crescent Park elementary teacher that shaped how so many of us understand our English language. He would ride his bike to work almost every day. Made sure his students acted appropriately and had fun. He was responsible for the grade 7 band at that time hosting the practices in his classroom. He also is a reason I have an appreciation for classical music. I’ll never forget the field trip the the VSO in grade 7. Probably why I continued to play the trombone through high school. 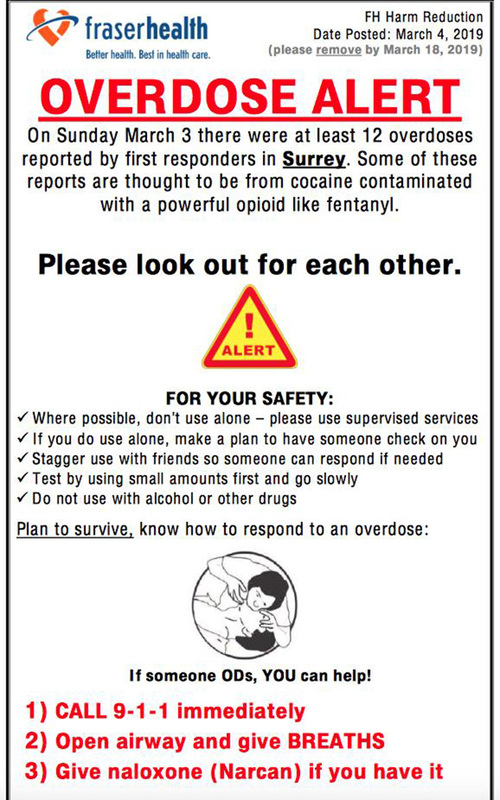 There is a new batch of cocaine & heroin laced with fentanyl on the streets of Surrey and White Rock. This past Sunday alone 12 people were rushed to hospital after overdosing. 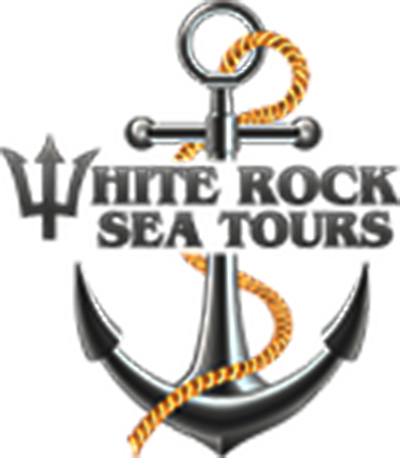 Due to the damage to the White Rock pier the popular White Rock Sea Tours was forced to find a new home. (left to right)Simrit K. & Emma Rose H.
To date they have raised almost $4000 with Telus matching up to $10,000. They need our help . 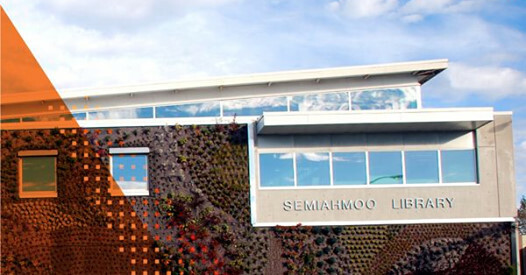 For all of accolades and all of the recognition they receive, the vast majority of Surrey’s Semiahmoo Totems are still over two full years away from donning cap and gown at their high school commencement ceremonies. And so when the province’s No. 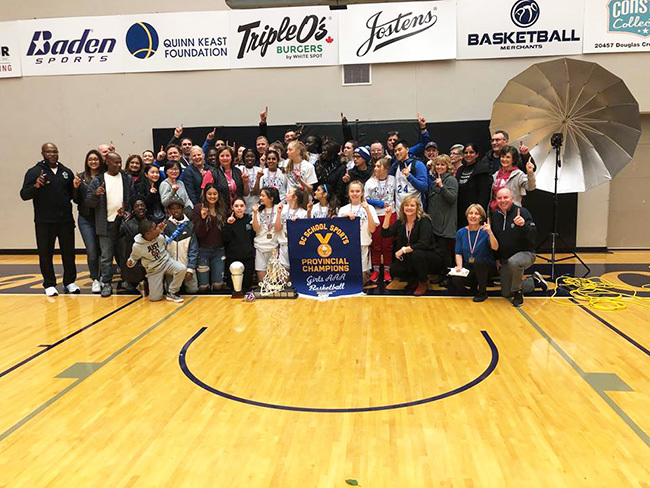 1-ranked and undefeated senior girls Triple A basketball team walked out in front of a capacity crowd of some 1,900 fans Saturday at the Langley Event Centre to try to win its first B.C. high school senior varsity title since 1953, they were finally staring out into lights they thought might be a little too bright. “I think it was mostly nerves,” admitted the Totems’ star point guard Deja Lee whose team found itself lodged in a 26-9 hole just over six minutes from halftime against the No. 2-ranked, veteran-laden Walnut Grove Gators of Langley. And when they exhaled, the Totems had managed a complete about-face en route to a 72-61 victory. If you had ever wondered whether a team with a seven-player rotation which included six Grade 10s was capable of winning a top-tiered B.C. senior girls title, you had your answer. 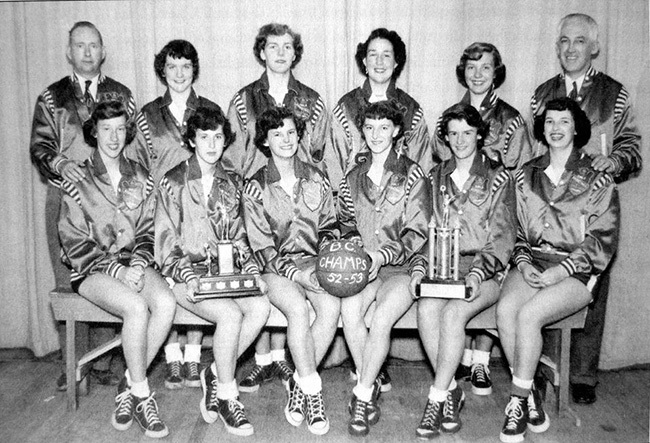 In recognition of the recent Semiamoo girls' basketball team ruling the province, here's a throwback to the '52/'53 Provincial Basketball Champions, – the 1953 Semiahmoo girls' basketball team. Back row, L-R: Les Martin, Patsy McKay, Heather Walker, Margo McCarty, Edna Kreeger, Murray Sanford. Front row, L-R: Donna Manten, Merle Ogden, Charlotte Cheverie, Anne Fennell, Wilma Bowers, Chris Uppguard. From “Years of Promise – White Rock 1858-1958” by Lorraine Ellenwood. Active transportation — whether it is on foot, bike, skateboard or wheelchair — gives people more options to get to their destinations safely and efficiently. By improving access to active transportation, people can be helped to get out of their cars, helping to relieve congestion, improve air quality and reduce pollution. The Active Transportation Strategy is part of the provincial government’s CleanBC plan, launched last year to put B.C. on the path to reduce pollution, power the future with clean energy and create new opportunities for people in a sustainable, low-carbon economy. Semiahmoo Town Centre is growing and changing. 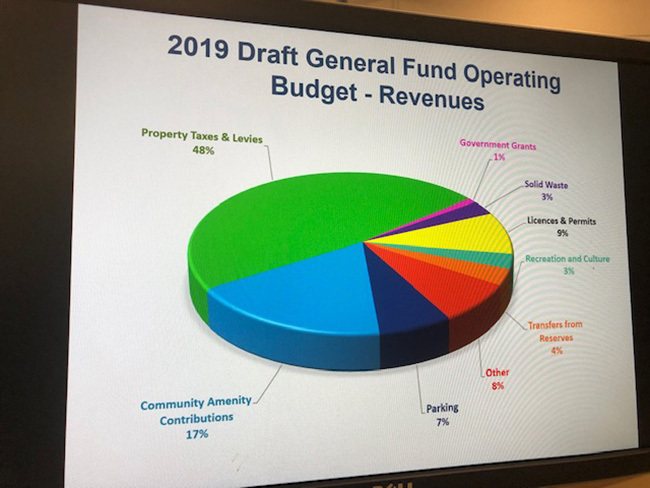 White Rock council met with senior staff last evening to prepare the 2019 budget for the city of White Rock. The Task Force on Trucking Parking was formed last December with a one-year mandate to develop creative options and implement equitable and sustainable solutions for authorized commercial truck parking within Surrey. With Councilor Mandeep Nagra as Chair, work to understand and address the issues is underway. Truck parking has been a long-standing dilemma in Surrey, as in other Metro Vancouver and Fraser Valley communities. To generate practical and effective options by fall 2019, getting the input of a wide range of local truckers and stakeholders from the start is key. Understanding their concerns, priorities and ideas for possible solutions is the focus of the first phase of work by the Task Force. 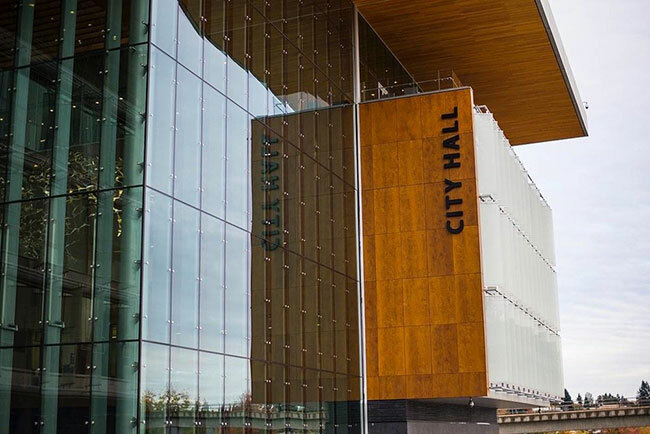 City staff are hosting an Open House on Saturday, March 9, 2019 from 1:00pm to 4:00pm at Surrey City Hall, Atrium. 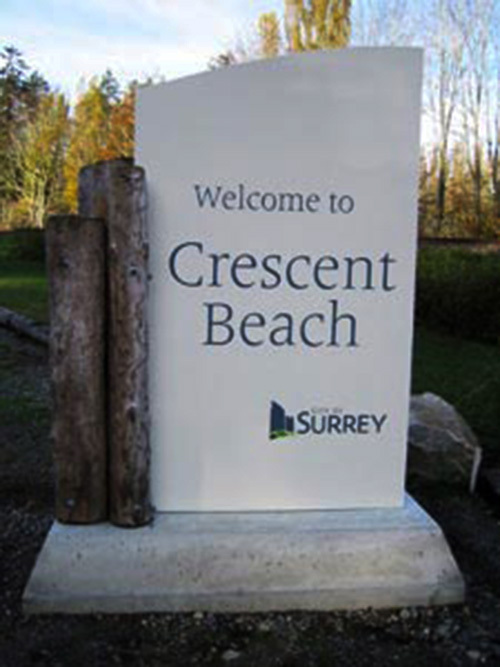 1- South Surrey Community Profile- The profiles are based on census data collected every five years and were created by the City of Surrey Community Planning and the Marketing and Communication’s team. 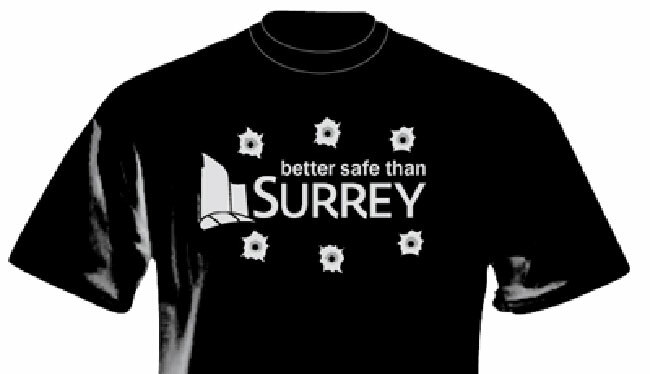 It's a great way to learn more about your area of Surrey! 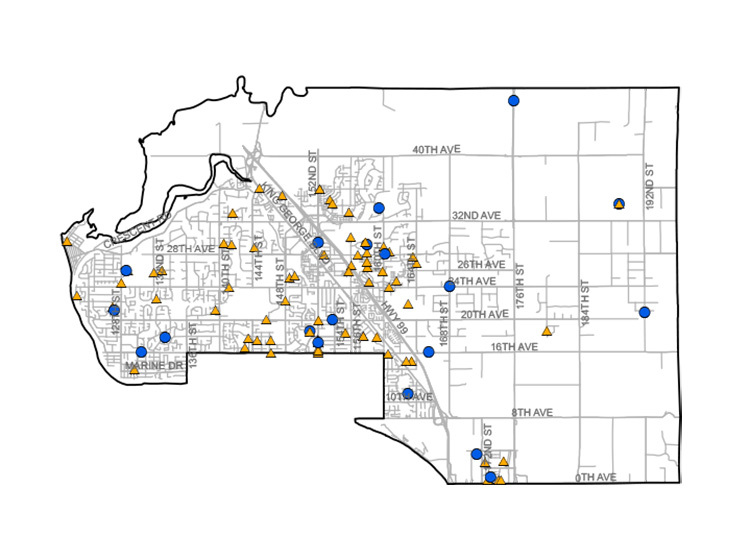 2- South Surrey Crime Map for January - This map shows reported incidents for Auto Crime, Robbery and Break and Enter for South Surrey. Out of the 14 reported, 6 of them were targeted because of a left open or insecure door. PLEASE also take the time to lock up and remove your garage door remote from vehicles that are parked in your driveways or on the street. 4- Stolen Auto List- There is 1 vehicle on this list from South Surrey. It was stolen from the 2800 Block of 156th. There were also 5 stolen vehicles dumped in South Surrey this week. The National Energy Board has given its approval to the controversial pipeline expansion project. The board was required to better consult with Indigenous communities and do more analysis on how the project would impact endangered southern resident killer whales. 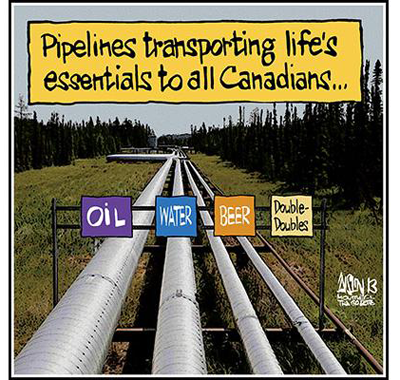 The future of the pipeline is now back in the hands of the federal government. 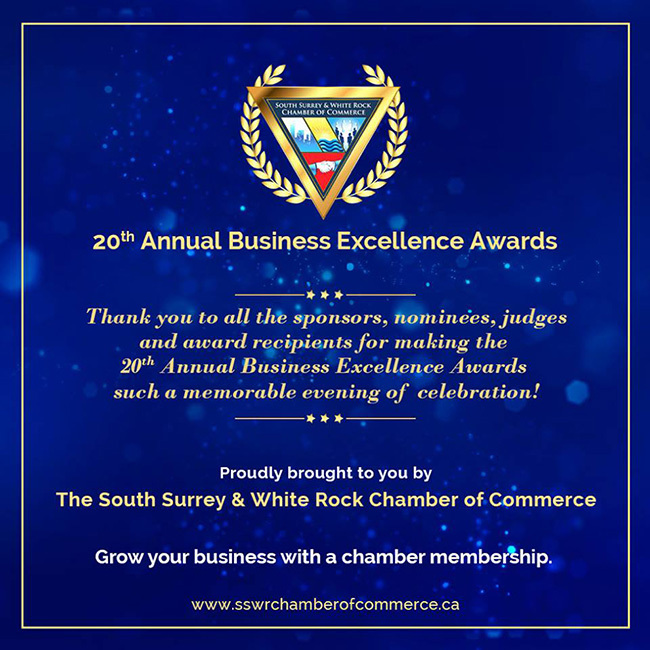 Wednesday evening th South Surrey White Rock Chamber of Commerce presented us with the Non-Profit Organization of the Year Award. 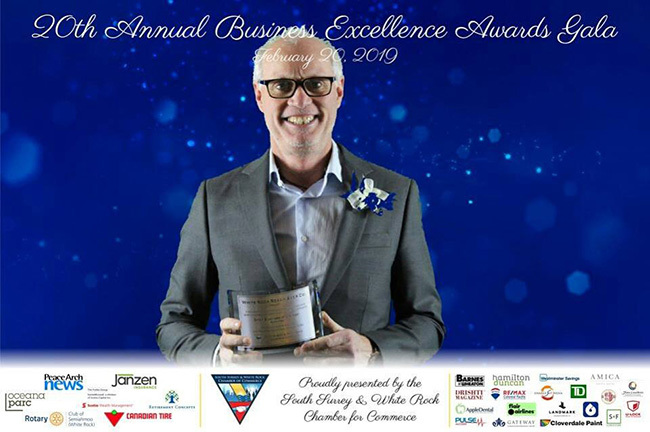 We are so honoured to be recognized among all the other amazing recipients and nominees from our community. This achievement would not have been possible without the help of our incredible supporters and team of compassionate volunteers. We cannot thank everyone enough for their support! Instead of dreaming about high speed rail from Seattle to Surrey and or moving the BNSF tracks off the Semiahmoo waterfront, let's consider a transportation option that is sitting right in front of us. 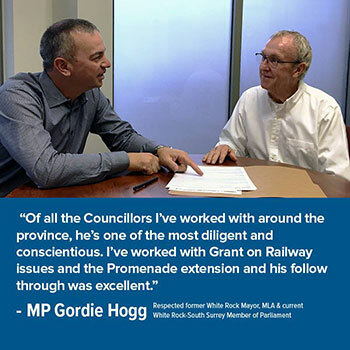 The South Fraser Community Rail Task Force is a group dedicated to providing information to the public and political leaders in each community along the inter-urban rail route from Surrey to Chilliwack. We propose a state of the art, emission-free passenger train using hydrogen fuel cell technology to produce electrical power to connect these communities. 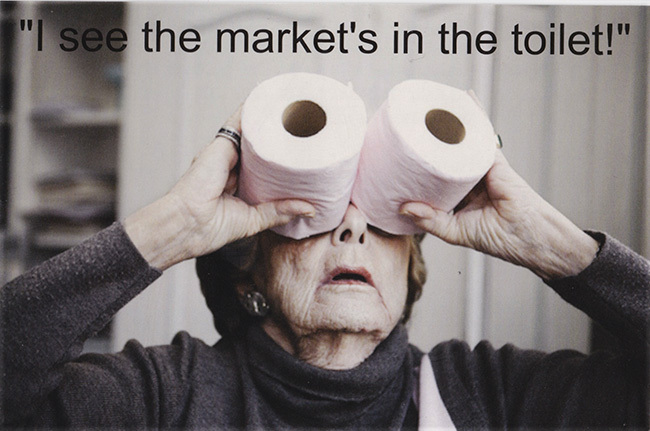 Most residences in White Rock & South Surrey received this postcard in the mail this week. Not what anyone wants to see as homeowners rush to try to catch a diminishing high point on a sinking real estate market. 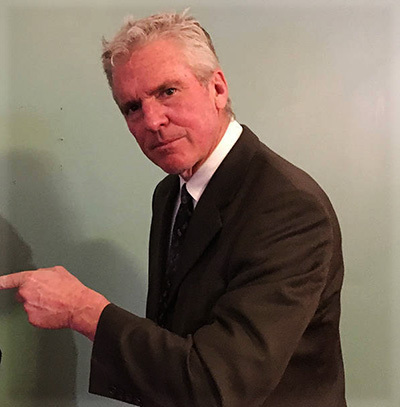 Tireless promoter BROOKE COLBY appears not ready to take no for an answer. COLBY you may remember back in December when our pier was destroyed in a winter storm, came up with the idea of having an Evil Knievel motorcyclist jump the gap in the pier. 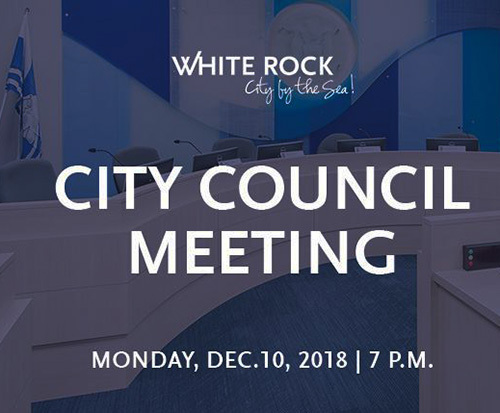 The city of White Rock to say the least was not impressed, mainly in that they heard about COLBY'S idea only after it hit the media. Since then COLBY has met with White Rock mayor DARRYL WALKER and has appeared before council to explain is his vision. IN case you missed it, last month the CBC television show THIS HOUR HAS 22 MINUTES had a little fun with the idea. 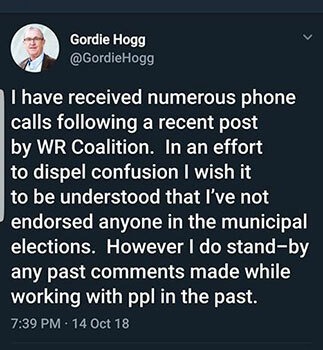 COLBY plans on taking another run at White Rock council in the coming weeks. 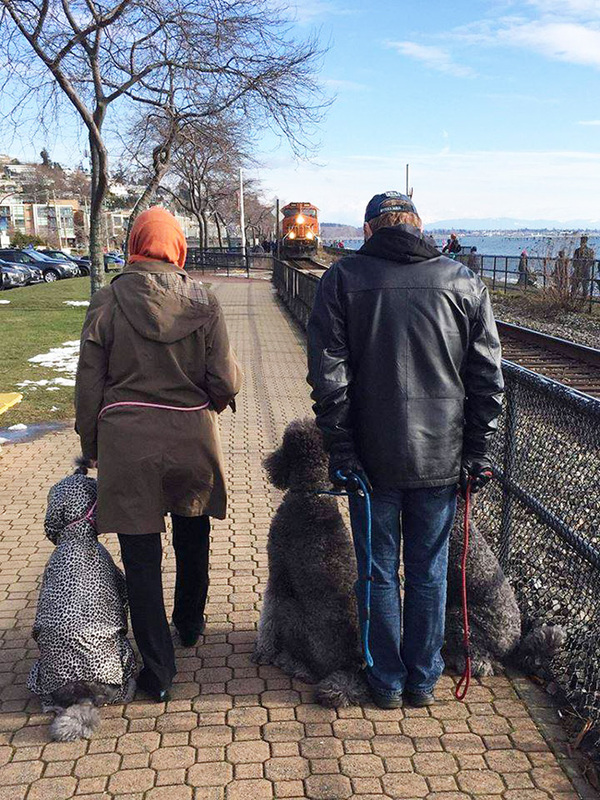 White Rock council recently unanimously approved a "trial period" of 6 months to allow dogs on leash on the promenade. The trial period BEGINS October 01, 2019. It has been reported on social media all weekend by the anti dog brigade that the promenade is now very busy with people walking their dogs. Keep it up folks and that trial period could disappear as quickly as it was invoked. If you see ANYONE walking their dogs on the promenade please inform them of the official start date and reinforce they are in danger of losing the trial period by ignoring the current by law of NO DOGS on the promenade!!!! 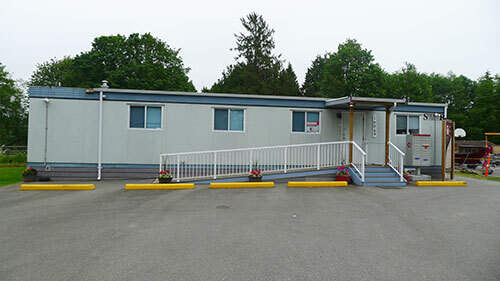 Yesterday afternoon White Rock council convened to ensure the building permit application for 1310 Johnston Road would be withheld for an additional 60 days. Pursuant to section 463(3) of the LGA, Council hereby directs that a building permit in respect of the BP Application be withheld for a further period of sixty 60 days from the expiry of the 30-Day Period, i.e. for a further period of 60 days beginning on February 20, 2019. 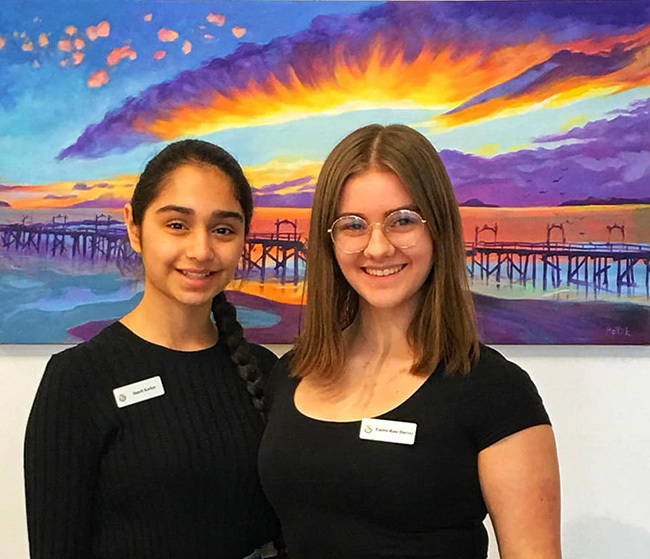 The City Connects E-Newsletter is here and filled with lots of cool highlights including information about how the City prepares for snowfalls, invitation to Our Pier: A Retrospective exhibit, Family Day message from Mayor and Council, and so much more! 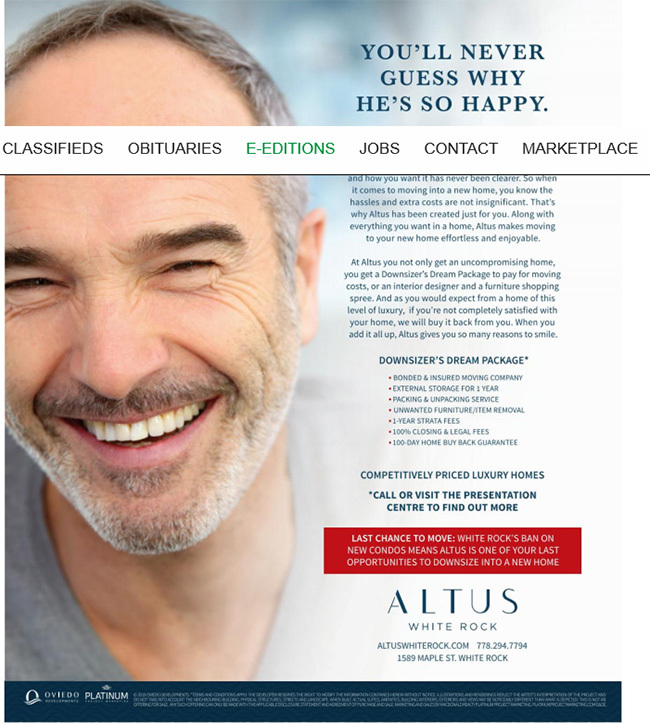 One would have to think the developers of ALTUS won't be back before council for at least four years. 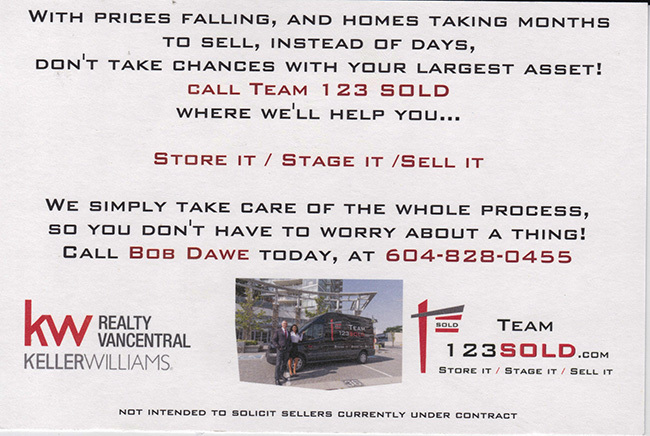 This is a r3ecent ad the company ran in the Peace Arch News. 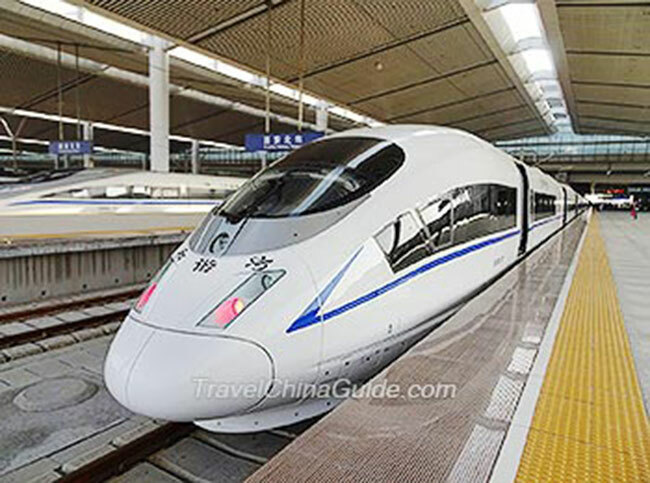 Could Surrey Be Metro Vancouver's High Speed Rail Terminus Line To Seattle? ...sure. But who is going to front the projected $24-$42 Billion? Former RCMP officer and media relations officer TIM SHIELDS who makes his home on the Semiahmoo Peninsula has been known for years for his beautiful landscape photos including many local photos. As luck would have it SHIELDS was walking with his family on our white Rock pier when the storm began to tear the structure to pieces. See his amazing photos. 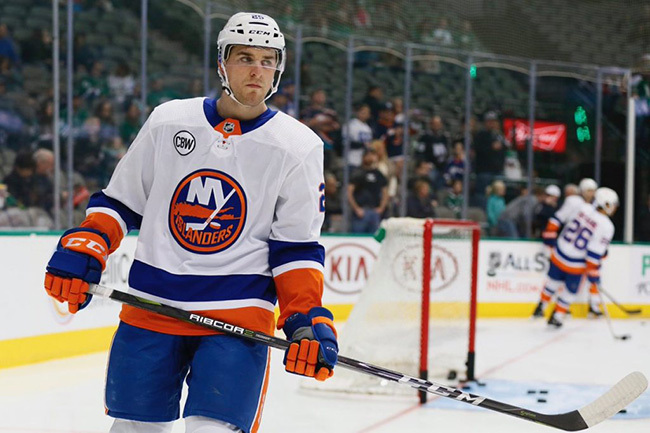 Devon Toews, who played for the Surrey Eagles during the 2011-12 and 2012-13 seasons, appeared in his first NHL game for the New York Islanders on Sunday night. His first NHL game comes in his third professional season after also spending three seasons with Quinnipiac University. In the New York Islanders game Friday against the visiting Chicago Blackhawks, the overtime winner was credited on the scoresheet to Toews. Just not the one you’re thinking of. It was Devon Toews, former Surrey Eagles standout blueliner and 2013 BCHL All-Star, who notched the winner and his first NHL goal for the Islanders against the Blackhawks and his more well-known namesake, the Hawks’ captain Jonathan Toews. After his initial shot was stopped by Chicago goalie Collin Delia, Toews put the rebound back on goal and it found its way through for the decisive tally at 1:48 of the extra session. It was just his fifth game in the NHL. 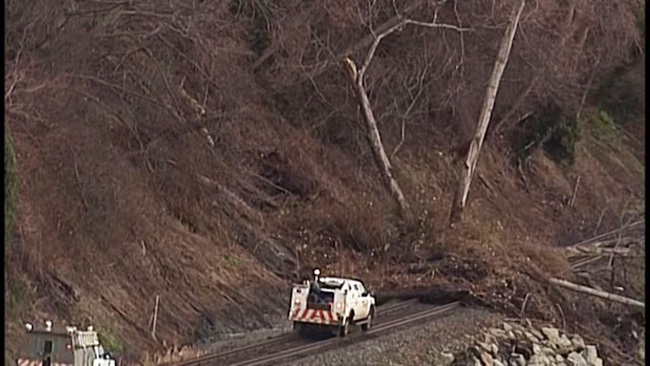 The company that operates a train corridor that was blocked by a mudslide between White Rock and Crescent Beach says it has cleared the path of debris. He says Amtrak's passenger service between Vancouver and Seattle remains suspended. 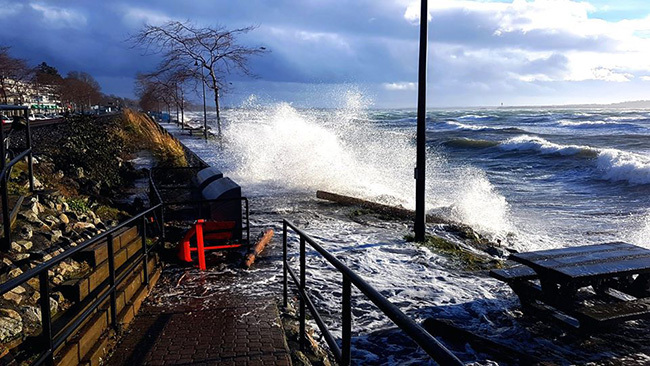 Thursday, January 3, 2019 marks two weeks since the devastating windstorm swept through the City that resulted in extensive damage to the Pier, waterfront and boats along the marina. BC Hydro reported it to be the most damaging in the Crown utility’s history. 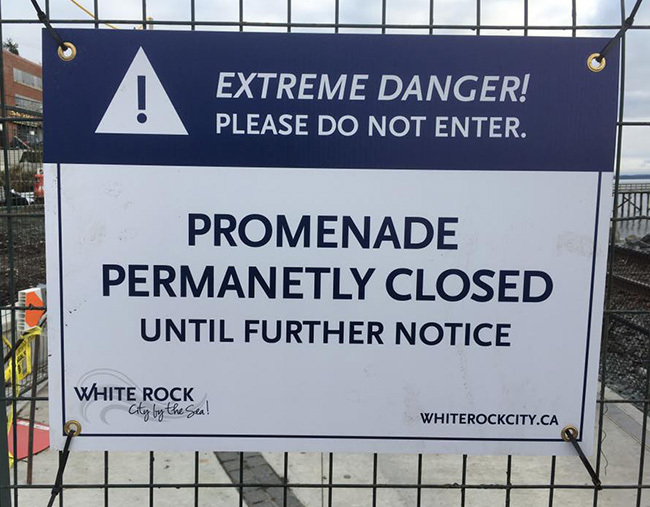 As this work is being carried out, it is very important that the public continue to respect the signage and keep a distance away from the waterfront, Promenade and Pier so that City staff, contractors and BNSF Railway crews can perform their work safely, efficiently, and expeditiously. Assessment of the extensive damage to the Pier is being undertaken. 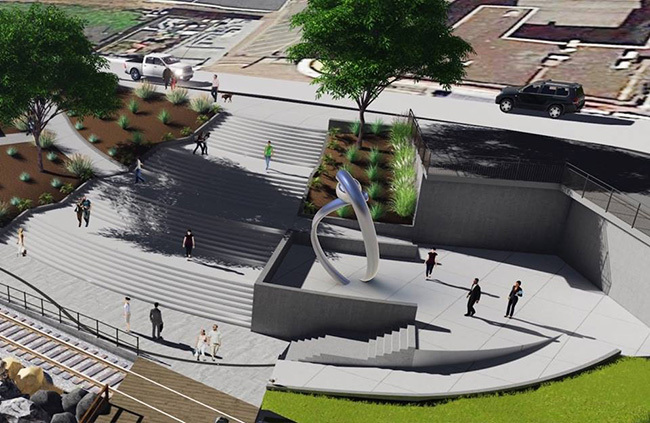 The Memorial Park project is in the final stages of construction. The installation of the public artwork “Coastal Cradle” will take place during the first week of January during the stages of the final concrete pour. CBC The Early Edition JESSE JOHNSTON who hosts a weekly radio show called South of the Fraser which airs usually on Wednesday morning @ 7:40 a.m. visited White Rock yesterday. Surrey RCMP is currently on scene in the Guildford area of Surrey for a report of shots being fired. At approximately 6:40 P.M. on January 2nd, 2019, Surrey RCMP responded to a report of shots fired in the 14000 block of 115A Ave., Surrey, B.C. Evidence was located confirming that shots had been fired. Initial reports indicated that a Dark Coloured S.U.V. was observed driving away from the area with its headlights off. A similar vehicle was located, and 3 persons have been detained. Officers are conducting neighbourhood canvassing and speaking with witnesses to obtain further information. The investigation is still in its early stages, but initial indications are that this is a targeted incident. Surrey Royal Canadian Mounted Police are asking that anyone who may have witnessed this indent, observed a dark coloured S.U.V. fleeing from the area, or in the area are asked to call the Surrey Royal Canadian Mounted Police at 604-599-0502 or to call Crime Stoppers in reference to Surrey File # 2019-000878. Christopher BOUCHER, 30 years-old, has been charged with one count of Unlawfully discharging a prohibited or restricted firearm, one count of Possession of a prohibited or restricted firearm, one count of Possession of a prohibited or restricted firearm without being the holder of an authorization or license and one count of Occupying a vehicle knowing there was a prohibited or restricted firearm in the vehicle. Jamie TIMBS, 42 years-old, has been charged with one count of Possession of a prohibited or restricted firearm, one count of Possession of a prohibited or restricted firearm without being the holder of an authorization or license and one count of Occupying a vehicle knowing there was a prohibited or restricted firearm in the vehicle. Anyone with more information is asked to contact the Surrey RCMP at 604-599-0502. If you wish to make an anonymous report please contact Crime Stoppers at 1-800-222-TIPS or www.solvecrime.ca. 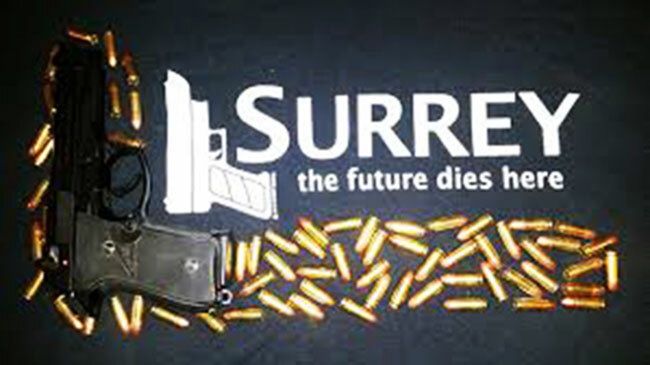 This marks Surrey’s first shots fired investigation in 2019. The City experienced 38 shots fired incidents in 2018, a 36% decrease from 2017 and a 57% reduction since 2015. ...you don't have to be crazy and for that matter you don't have to have a swimsuit. 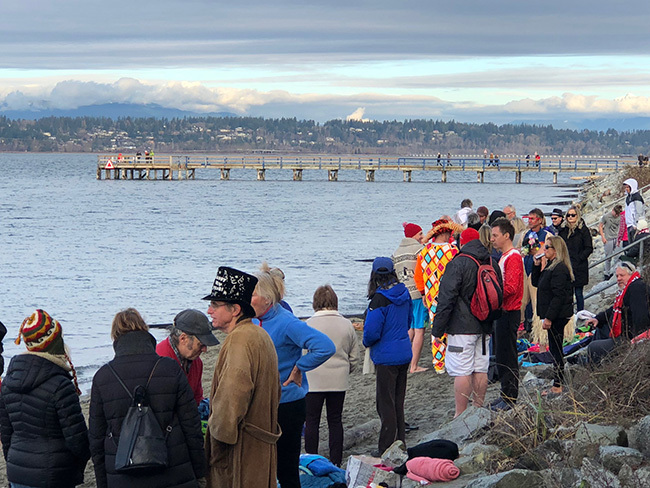 The SUN Surrey United Naturist lined up for their clothing optional annual plunge into Boundary Bay @ Crescent Rock in Crescent Beach. 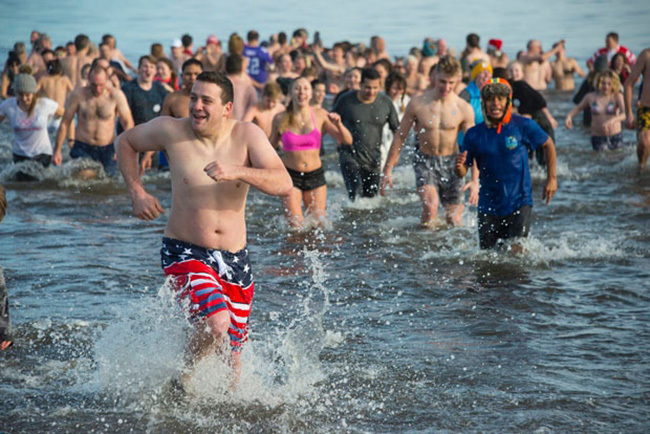 Down the beach an hour later in Crescent Beach a small but vocal crowd took the annual polar bear plunge @ 1 p.m.
Across the bay from Crescent Beach the Delta Polar Bear Plunge in its 39th year saw much larger crowds than normal. 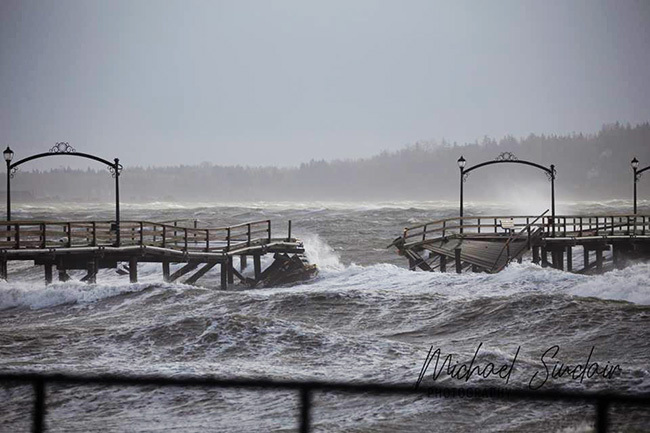 Due in large part to the White Rock polar bear swim being canceled due to the storm damage to the pier and the foreshore in White Rock. See you next year. Brooke Colby Productions Bringing Team Knievel To Jump Gigantic Gap in White Rock Pier. Local Promoter of the “Team Knievel's Most Unforgettable Motorcycle Feat” looking for go-ahead from city officials to help raise money to rebuild pier. 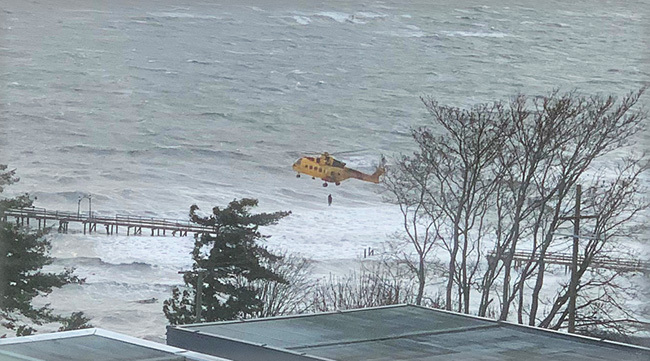 Sensitive to loss of “our community hub” impacting all residents of White Rock, local Promoter Brooke Colby is planning to launch a fundraising event in a most unusual way- he is planning to have one of Team Knievel's top motorcycle riders jump the gap left in the pier. 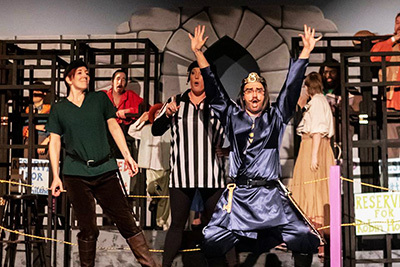 Beginning January 9th, Brooke Colby Productions will be working with local and federal officials to obtain clearances to bring this event to White Rock. “White Rock needs a world-class event such as this that will bring back hope to this battered community,” says Colby. “Team Knievel remains a hero to so many that remember this family's fearless exploits, incredible outfits, and inspiring stunts. We are delighted to be working closely with America River Media Group to try and make this possible. Fans young and old will no doubt be amazed at what Team Knievel is attempting.” stated Brooke Colby, CEO of Brooke Colby Productions. 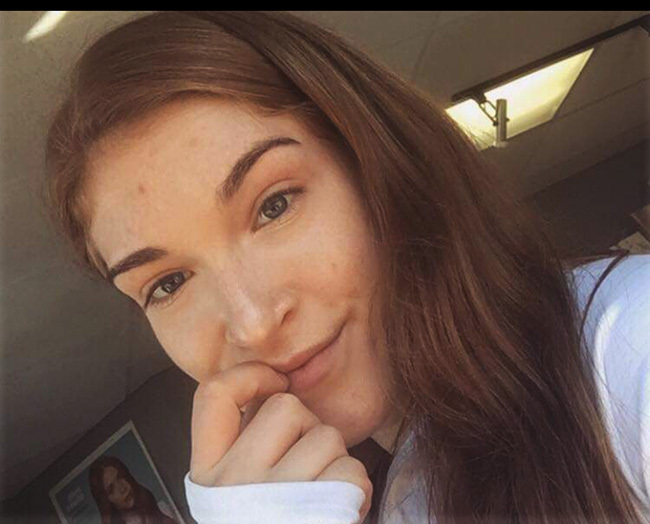 Emily PRICE was last seen at approximately 6:30 PM on December 28, 2018 in the 10100 block of 156th Street in Surrey. She has not been seen or heard from since. Emily PRICE is described as a 20 year old Caucasian female, 5'4", 88 lbs, with reddish brown hair and blue eyes. (Please see attached photo). She was last seen wearing a black sweater with red, ripped blue jeans and black heels. Police and family are concerned for her health and well-being as it is out of character for this person to be out of touch this long. Anyone with information about the whereabouts of this person is asked to contact the Surrey RCMP at 604-599-0502, or Crime Stoppers, if they wish to remain anonymous, at 1-800-222-8477 or www.solvecrime.ca, quoting file number 2018-2018-192583. You get the message though don't you? 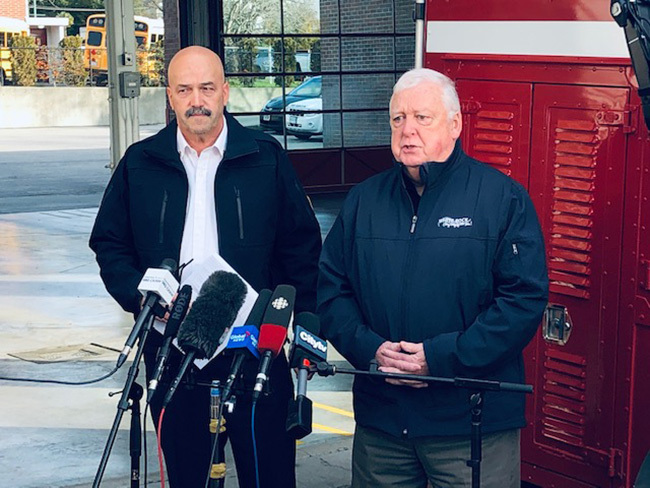 Yesterday morning White Rock mayor DARRYL WALKER and fire chief PHIL LEMIRE met with the press and imparted as much information as they had. Presently the pier is still under inspection from engineers to ascertain how much of the pier can be saved before rebuilding begins. Mayor WALKER said the city has already been in touch with the Province and the Federal government to inform them of the tragedy. In the harsh daylight of yesterday pictures began to surface of the damage to the iconic pier. This aerial photo from the WX1130 traffic plane puts the section lost in perspective. Owners of boats that were washed ashore check out and remove valuables. The city's east beach also suffered major damage. Cleanup will continue throughout the weekend. 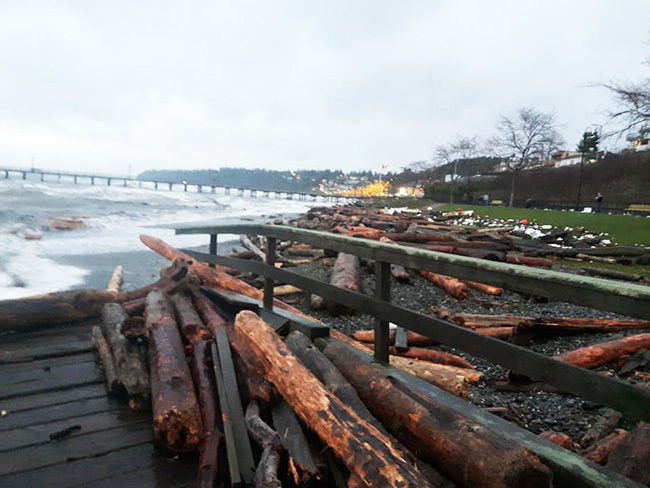 An entire section of the pier washed ashore all the way down at East Beach. Lost in all the news of the storm damage to White Rock was the fact the BNSF rail line on the Crescent Beach side of Camp Kwomais suffered heavy damage as the storm pounded the rail line bed. There have been no trains for the past two days since the storm. BNSF and AMTRAK are working hard to restore rail service by this afternoon (Saturday). Here is the video everyone is talking about. The boats smashing into the pier and the aerial rescue of the one person trapped at the end of the pier when the storm broke the pier to pieces. Today Saturday 22) is the first day of winter - but it's also the first day of many in an effort to clean up the Pier and Promenade in White Rock. Our hearts go out to the boat owners, City crews and council, and everyone saddened by damage to such an memorable White Rock icon. The first Pier was built in 1914 - but the Pier damaged yesterday was re-built in 1977 *all thanks to* a community campaign. The pier was in serious disrepair in the early 1970s, and the Government of Canada intended to tear it down. Local residents appealed to the government and ran a community campaign to raise awareness and funds to restore this important landmark. The pier was officially re-opened on November 13, 1977. 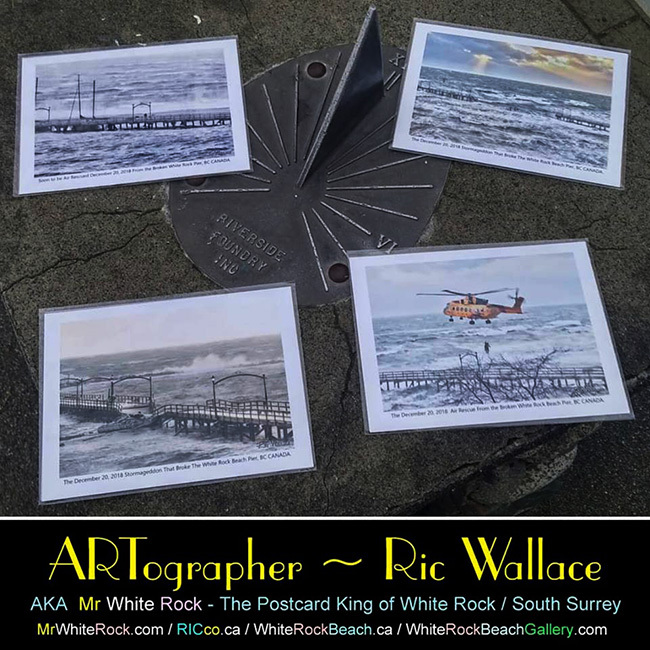 Over the next week, we'll post a couple of historic images to remember the first time White Rock pulled together to save the pier. Who says we can't do it again. 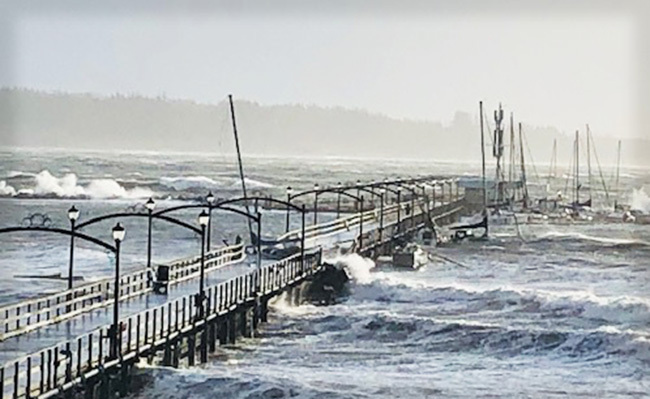 At approximately 1:30 Thursday afternoon heavy winds and an unusually high tide caused extensive damage to White Rock's pier and the Semiahmoo Sailing clubs boats. 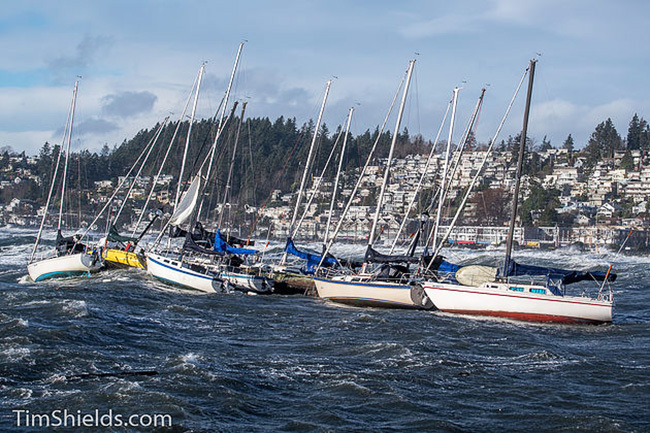 The high winds somehow broke loose the dock on the west side of the pier where the local sailing club keep their boats. The boats and dock then turned into a giant ramming device as it pounded against the side of the pier it eventually smashed and sunk a number of sailboats before finally breaking through to the other side. There have been no reports of injuries. A few walkers made a valiant jump when the pier first started to break up. Unconfirmed reports had one person stranded at the end of the pier and rescue crews were making plans for their removal. Meanwhile the hillside suffered major damage with a number of trees coming down. Emergency crews from the police and fire departments were stationed across the hillside turning motorists away. 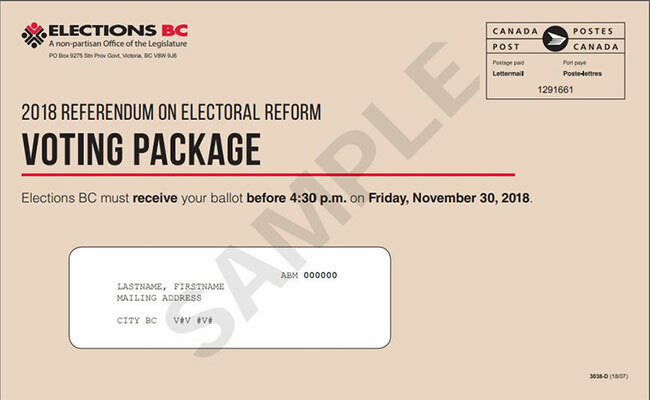 Results of the electoral reform referendum are in: over 61 per cent of British Columbians have chosen to keep our current first-past-the-post system. Just over 1,400,000 ballots were cast. with a lower court judge who said the RCMP officers manipulated John Nuttall and Amanda Korody into going ahead with the attack planned for Canada Day 2013. The top junior hockey players as chosen buy a select committee have been announced. Langley, Prince George, Chilliwack, Victoria, Vernon and Penticton have all had players from their roster chosen. Our Surrey Eagles of the BCHL are slip sliding down to the basement of the standings and as a result no Eagles were chosen to compete in January. 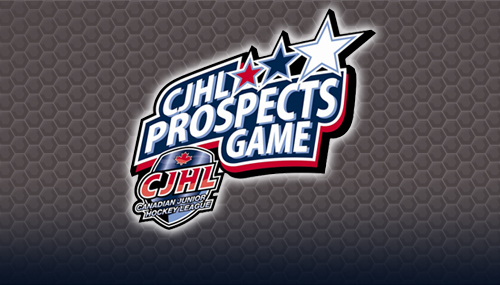 The Canadian Junior Hockey League, in partnership with the National Hockey League and Hockey Canada, as well as in conjunction with NHL Central Scouting, announced Tuesday the playing rosters for the upcoming CJHL Prospects Game, which will be held on Tuesday, January 22, 2019 at 7:30 p.m. MT at Pason Centennial Arena in Okotoks, Alta. Wednesday January 09 - 5 p.m.
Thursday January 10 - 8:30 a.m. The new budget delays projects in the city such as a new ice rink in Cloverdale. Some angry residents stormed out of the chamber after the 5-4 vote. Councillors Steven Pettigrew, Brenda Locke, Jack Hundial and Linda Annis voted against the controversial new budget. 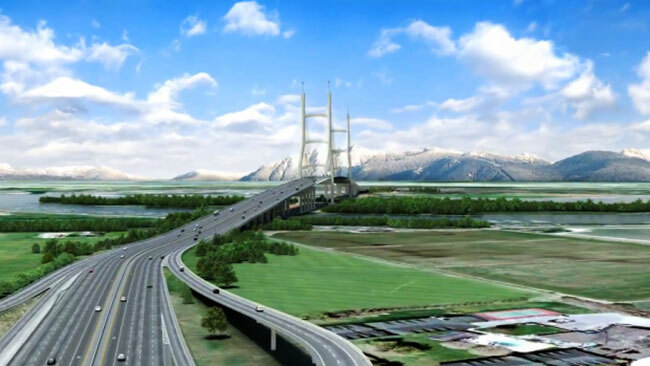 The original George Massey Tunnel Replacement Project pushed the 10-lane bridge option without fully considering feasible alternatives or local opinions on the best path forward. Those are the key findings of a technical review of the replacement project, which has been released by Claire Trevena, Minister of Transportation and Infrastructure. City Hall (15322 Buena Vista Avenue) will be closed for Christmas December 24th to the 28th and will re-open December 31st, 2018 and closed for New Year’s Day on January 1st, 2019. 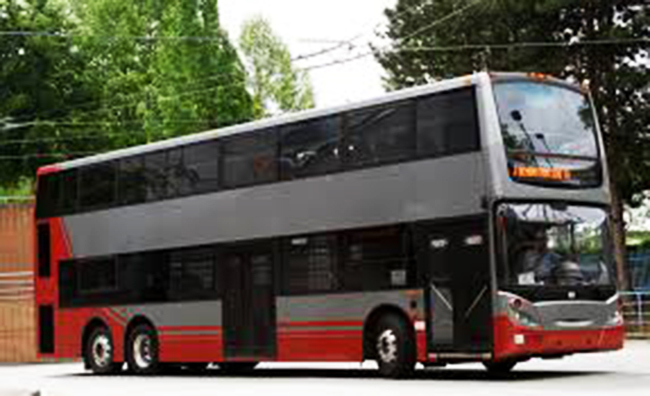 TRANSLINK will be receiving their order for 42 double decker buses in late Spring 2019. Some of the buses will be operational on the White Rock - Vancouver / 351 route by September 2019 at the latest. Now that's good news. Big changes coming to Semiahmoo Mall. Construction is in full swing to renovate the old Field's store location. there will three new tenants. CRUNCH gym, WINNERS and a daycare/learning centre for per-schoolers. Ring in 2019 with live music, food trucks and plenty of fireworks! For the fourth consecutive year, the Vancouver New Year's Celebration Society is proud to stage Concord's New Year's Eve Vancouver, an all-ages, family-friendly community celebration that transforms our beautiful downtown waterfront into an electric village. This year's event is located at Jack Poole Plaza and the Vancouver Convention Centre, and will feature a variety of talent and performers, food trucks, enhanced indoor celebration zones, and early fireworks for families at 9:00 p.m. followed by a spectacular midnight countdown fireworks finale to ring in the new year. 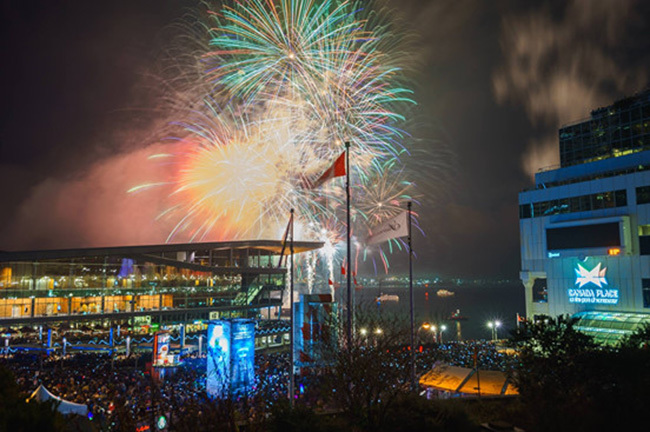 The free outdoor street party will run from 7:00 p.m. to 12:10 a.m., and Vancouver's largest indoor NYE party held inside the Convention Centre will offer a front row view of the fireworks and additional entertainment. 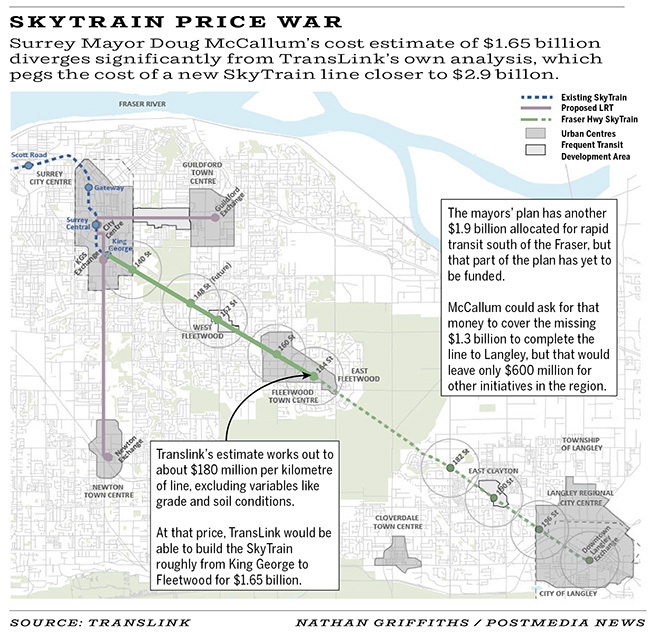 At a meeting of the Mayors Council yesterday at Translink headquarters in New Westminster, Surrey mayor DOUG MCCALLUM was told by his lower mainland counterparts they would consider a move to Skytrain from Light Rail. With the caveat that Surrey makes up the $57 million dollars already spent on research and land acquisition. MCCALLUM agreed to make up the loss with either cash or a land swap. Mayors also discussed the fact that they had voted last month to work within the existing money set aside for light rail, which is $1.65 billion and staff’s belief that the entire project, from Surrey to Langley, cannot be built for that amount as the current cost estimate is $2.9 billion. Instead it will make it to Fleetwood or Clayton Heights and a second phase will have to be done using part of the $1.9 billion in anticipated funding from the third phase of the regional transit plan set aside for South of Fraser rapid transit. For the third time a BNSF freight train b locked access to Crescent Beach. Monday evening for 2 hours access to Crescent Beach was blocked when it was discovered by the train crew there was a mechanical problem. After two hours of totally cutting off the seaside community BNSF uncoupled the cars and provided access in and out of the beach. 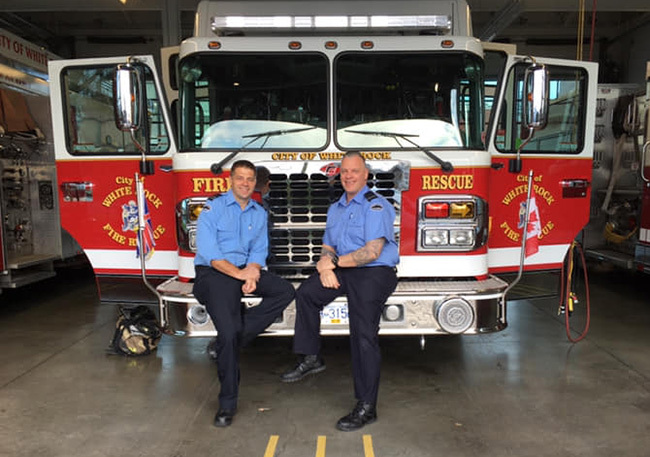 Congratulations to White Rock Fire & Rescue members SCOTT BOOTH and MIKE PASSAS on their 25th anniversary of keeping White Rock safe. The Surrey RCMP, together with the City of Surrey, BC Restaurant and Food Services Association (BCRFA) and Restaurants Canada, are launching the Inadmissible Patrons Program (IPP) in Surrey this week to further support public safety and deter individuals who are associated to violent crime from being in Surrey. The creation of the program follows a key recommendation in the Mayor’s Task Force on Gang Violence Prevention Report, which was released in July 2018, and the 2017 BC Task Force on Illegal Firearms. The Surrey RCMP Gang Enforcement Team (SGET) developed the IPP in conjunction with restaurant partners to help prevent violent criminal activity in and around licensed establishments to increase overall public safety as well as the safety of restaurant/bar patrons and staff. The IPP is modeled after the Vancouver Police Department’s successful Restaurant Watch program. Surrey’s new IPP is being rolled out in a graduated approach with eight restaurants and bars participating in the initial launch and more being added as the program grows. There are also plans to expand the IPP to major public events in Surrey and possibly other types of businesses in the future. Participating establishments will display the IPP logo in their window or other prominent location (see attached image). Licensed establishments that are interested in joining the Inadmissible Patrons Program in Surrey can contact the Surrey Gang Enforcement Team at Surrey_IPP@rcmp-grc.gc.ca. Currently there are no plans to expand the program to White Rock. 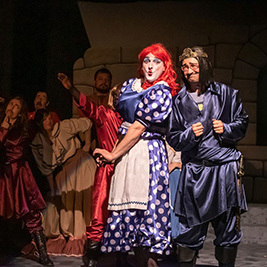 White Rock Players’ Club is still a much-loved community theatre group, producing five shows a year, which include comedies, thrillers, dramas and the ever-popular Christmas Pantomime – in fact, the Club is very likely the longest continuous presenter of Pantomimes outside the UK, with a different show every year since 1954. Christmas shopping is now getting fully underway. Please don't take your presents and put them in your vehicle in open view/ You will not the spike in theft from autos on the map above. Be careful out there. Lock your gifts in the truck. · Have someone check your home daily. 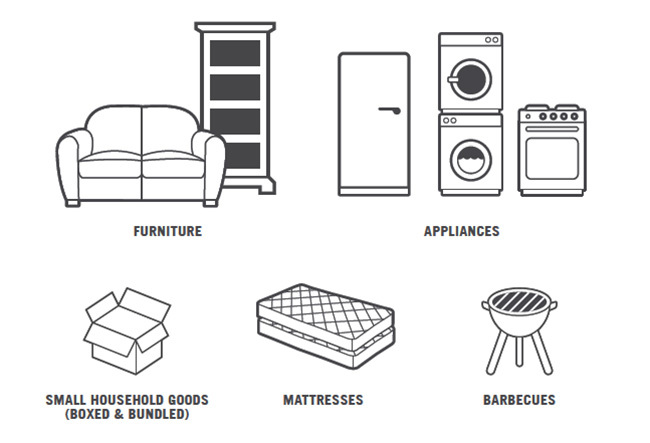 · Do not let newspapers and flyers accumulate in front of your home. · Have the mail picked up daily or have the Post Office hold your mail. I have two friends ROGER CURRIE and JOHN B VYE who do commercial work in Vancouver. Their faces eventually are seen around the world when the commercials air. So next time you are standing in line at Penguin Meats or SAVE ON look around, you just might see JOHN B .VYE. This holiday commercial for Hallmark cards is a tearjerker. We believe that all people have the right to control their own lives through personal choices about relationships, jobs, living arrangements, spirituality, traveling, and recreational activities, and that all people have the right to give back to their communities through volunteering and helping others. Everyone is entitled to live a happy, full and meaningful life. 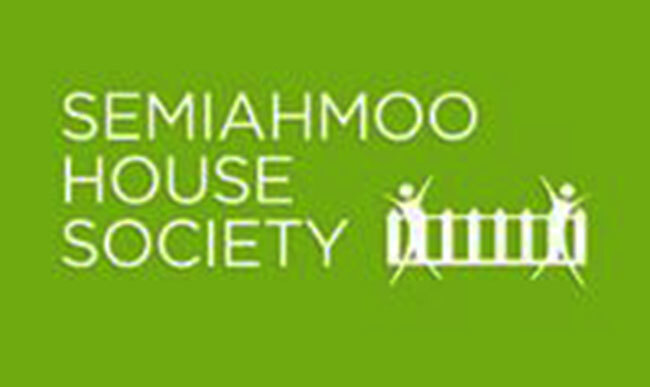 Please take a moment to watch this beautiful video the people of Semiahmoo House have created. Marvelous. 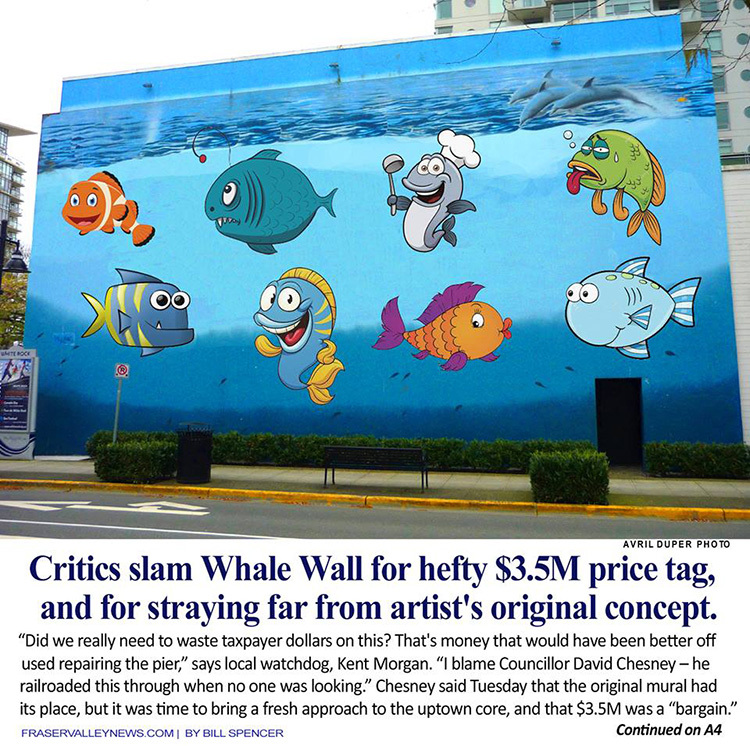 Surrey City Council voted to review a proposal to dissolve five committees, including the Cultural Development and Public Art Advisory Committees. Under the proposal, they will be consolidated into a single committee: the Parks, Recreation and Culture Committee, to be established for a one-year period starting on January 1, 2019. 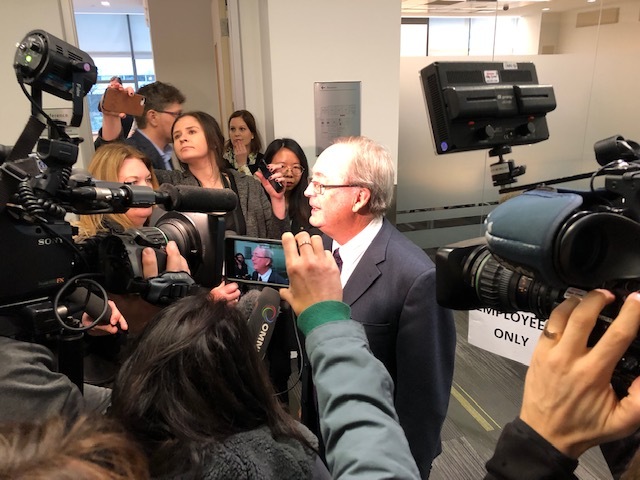 Newly elected Surrey mayor DOUG MCCALLUM held a press conference this morning at Surrey city hall. MCCALLUM announced numerous cuts to projects that had been approved by the previous SURREY FIRST council. ...a more detailed list of cuts and holds will be released in the coming days. On December 11 the city's FINANCE COMMITTEE will meet and more clarification is expected at that time. South Surrey resident TAMMY RITCHIE stopped by the Peace Arch Hospice Society centre on Tuesday to make a sizable donation to the society. 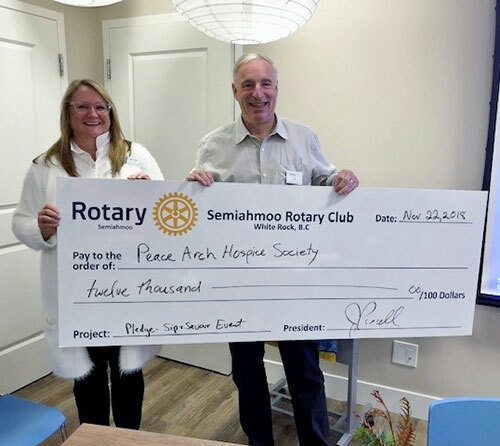 Executive director BETH KISH was also present a cheque for $12,000.00 on behalf of the local White Rock Rotary Club, The money was raised at the recent annual Sip & Savour Event held at the Washington Grill. TransLink is introducing its first wearable payment option as part of our commitment to make taking transit as comfortable and convenient as possible. 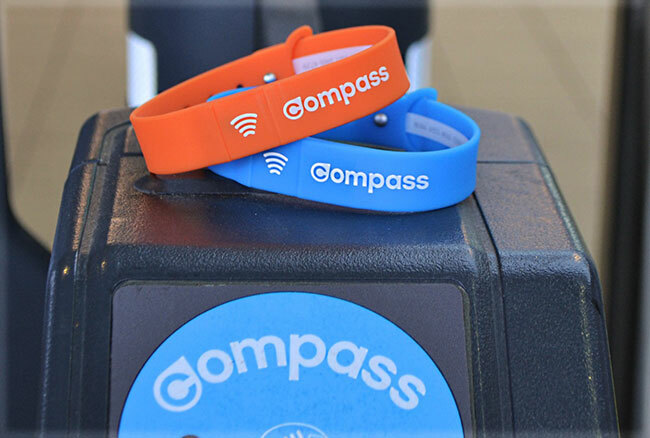 Compass wristbands work the same as Compass Card; tap in and out when travelling on transit and reload online, at a Compass Vending Machine, by phone or in person. Customers using a wristband must tap the portion with the contactless symbol. Just like a Compass Card, a $6 refundable fee is charged when you pick up your wristband. TransLink is releasing 1,000 blue adult wristbands and 1,000 orange concession wristbands December 3. We’re starting with a limited release to gauge interest and will provide more of them early next year if needed. Visit the Compass Customer Service Centre at Stadium–Chinatown Station (Monday - Friday 7:30 a.m. to 5 p.m.) or the West Coast Express Office in Waterfront Station (Monday - Friday 6:45 a.m. to 6 p.m.) to pick up a wristband while supplies last. The Integrated Homicide Investigation Team (IHIT) is requesting public assistance to further its investigation into the shooting death of a Surrey man. On Monday November 26, 2018 at around 11:46 a.m., the Surrey RCMP received reports of shots fired in the 5400-block of 146 Street. Police arrived to find a man, later identified as 41-year-old Ranjeev Sangha of Surrey, with gunshot wounds. He was pronounced dead at the scene. Those responsible for the shooting immediately left the area in a black four-door sedan (pictured). Approximately one hour later at 12:49 p.m., the Richmond RCMP was alerted to a burning black sedan in the area of the 12000-block of Cambie Road. It was found approximately 100 meters off of Cambie Road on a pedestrian path. 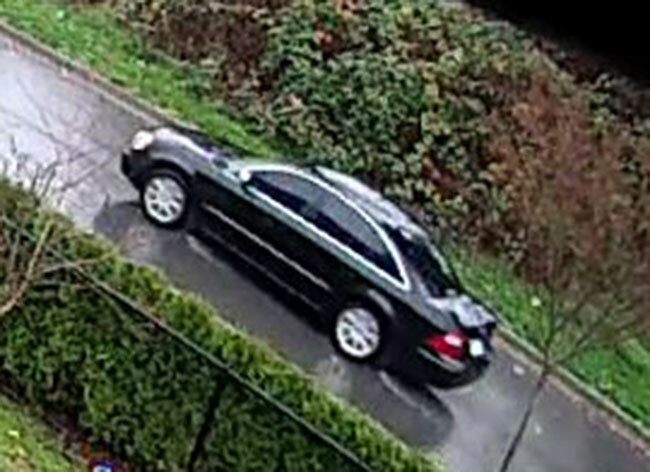 Detectives would like to speak with anyone that has information about this vehicle and are seeking dash cam video from drivers who were travelling between Surrey and Richmond along Highway 99 or Highway 91 between 11:46 a.m. and 12:49 p.m. It is still early in the investigation but investigators believe the murder of Ranjeev Sangha was a targeted incident and are working to determine motive. 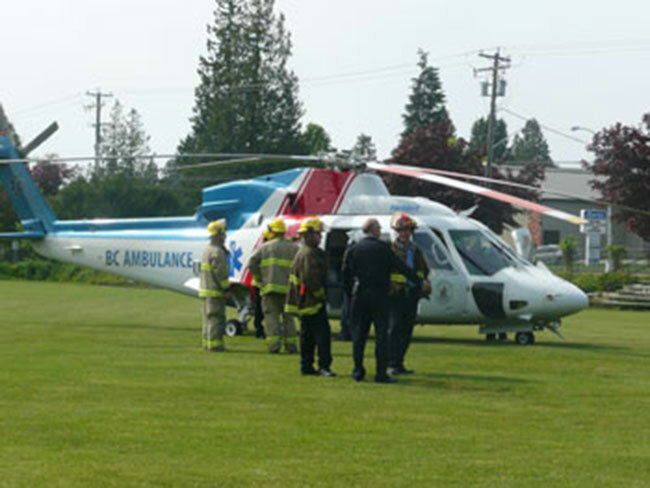 IHIT is working closely with its partners from the Surrey RCMP, the Richmond RCMP, the Integrated Forensic Identification Services and the B.C. Coroners Service to gather evidence. “Retracing Ranjeev Sangha’s movements prior to his death will be one of the priorities for our detectives and we urge anyone who can help us achieve this end to contact us immediately,” says Corporal Frank Jang of IHIT.
. 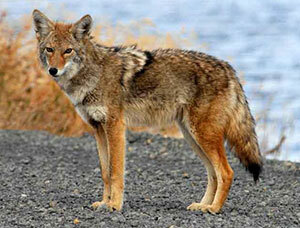 There have been packs of coyotes on blackie spit since I lived there in the 90’s. You live with nature. Get over it, and make sure your cat can get in at night. Geez. I saw two on King George and 156 a week or so ago and have also seen one at Bakerview Park. They're out there, same as always, just with less forest to hide in. There is a den close to the trail between crescent park and dogwood park. People with small dogs should keep them on leash and close. The OIPC (“OIPC the Office of the Information and Privacy Commissioner ) has released its findings into their investigation into whether or not the City of White Rock is handling their Freedom of Information requests properly; Here is a portion of the report. The OIPC conducted this audit of the City of White Rock’s (White Rock or City) freedom of information (FOI) program pursuant to s. 42 of FIPPA. In particular, the audit focused on whether White Rock has met their duty to assist FOI applicants under FIPPA. 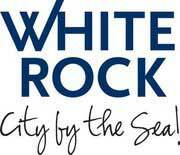 White Rock was selected for audit based on the high number of complaints and requests for review related to the City over the past five years in comparison to other municipalities. 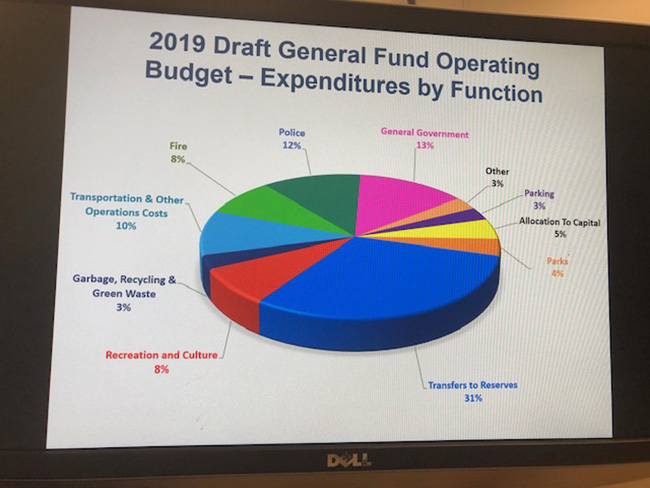 The majority of complaints submitted to the OIPC related to duties the City has under FIPPA, and whether they conducted an adequate search for records. 3. 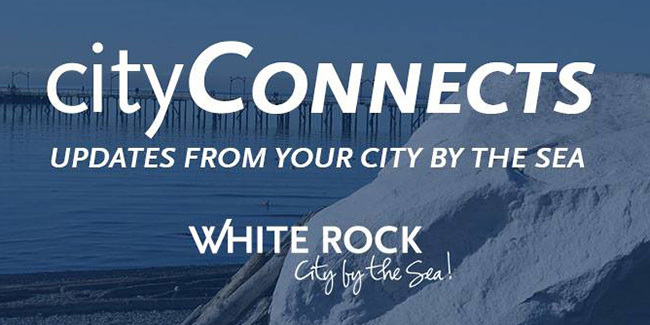 Make recommendations to improve White Rock’s FOI policies or practices. â€¢ White Rock did not retain all relevant documentation in 26% of sampled files. 3. 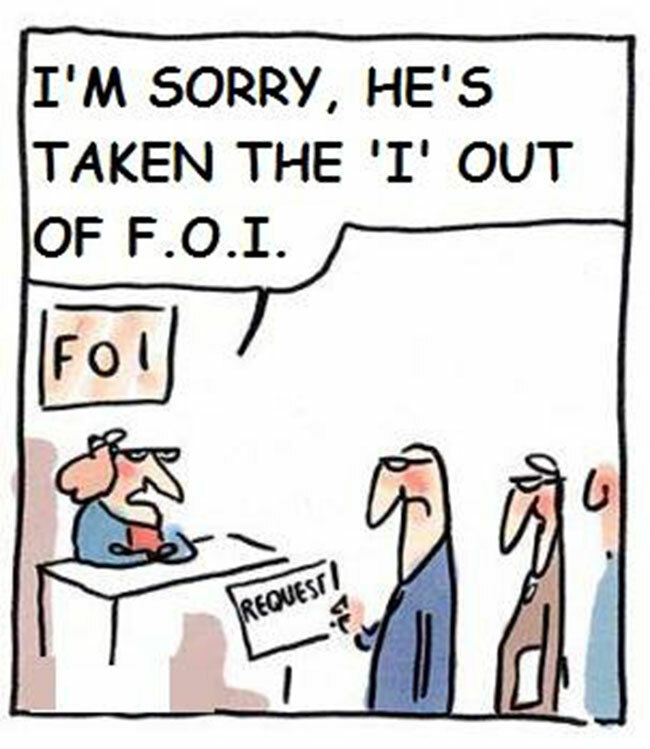 Respond to all FOI requests without delay and within legislated timelines. Resource issues may impact the timing of White Rock’s responses, and need to be addressed. Public bodies must provide sufficient resources to the FOI function to ensure they fulfill their legislated mandate. 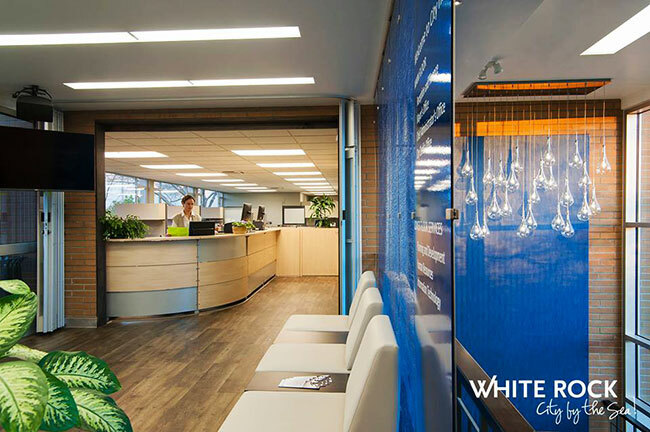 With small shifts in their FOI process, the White Rock can bring their program into compliance with FIPPA. 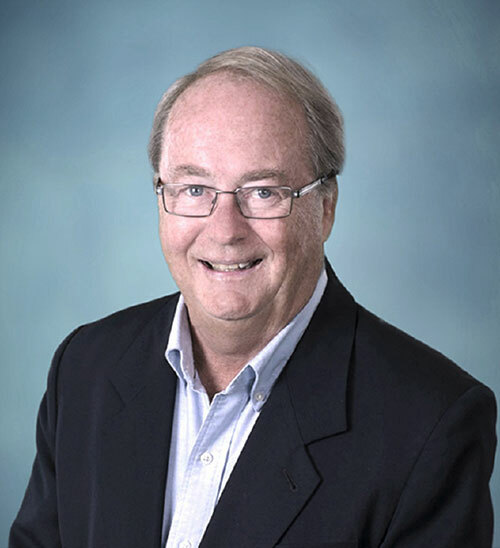 White Rock mayor DARRYL WALKER has publicly distanced himself and members of council regarding the official statement released by the city regarding the OIPC's findings. WALKER is now on record as saying the "official" statement was not =vetted by him or council. New council members elected in the 2018 election were sworn into Office on November 5, 2018. On November 14, 2018, at approximately 5:27 pm. Surrey RCMP responded to a pedestrian involved motor vehicle collision in the 700 block of 176 Street. The pedestrian involved in the collision, an adult male, was taken to the hospital with serious injuries and remains in the hospital at this time. Investigators are asking anyone who was a witness to this incident, or anyone who may have dashcam, or any other video which could assist in this investigation to please contact the Surrey RCMP at 604-599-0502. 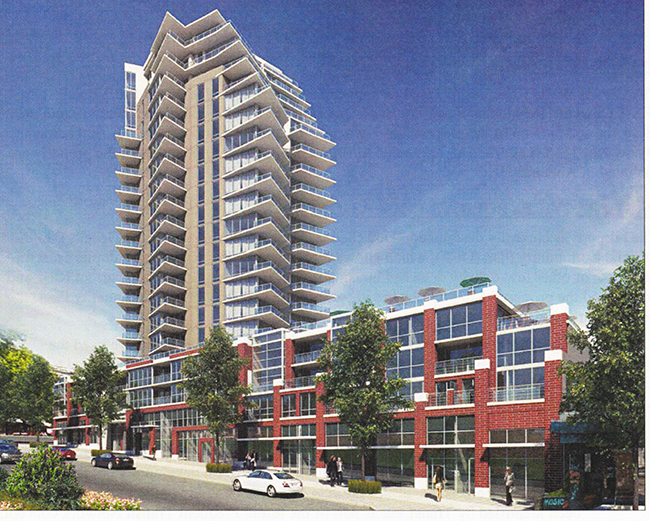 The high-rise tower on the old Deals World site on Johnston Road will proceed. Despite the current council asking for a hold to be put on the developments below Thrift avenue on Johnston Road, the developer of the proposed tower on the Deals site was able to quickly submit their building permit before the closing date for the review of the Official Community Plan. 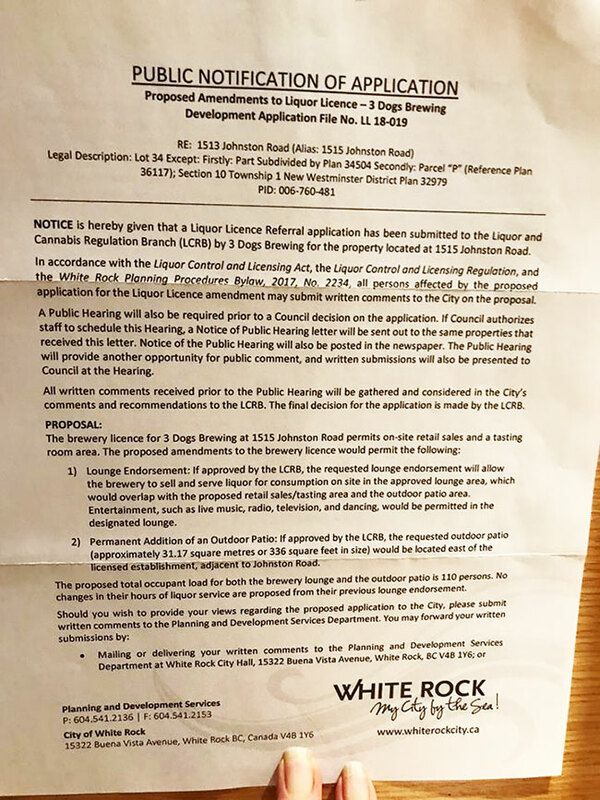 The Lady Alexander located at the corner of Roper and Johnston (1310 Johnston) did not make the deadline and as a result will have to wait for White Rock council to review the OCP and allowable height below Thrift on Johnston Road. Once the heights are established following community consultation the developers of the Lady Alexander will be afforded the opportunity to plead their case before council. _Put the wheels in motion for the return of QUESTION PERIOD. Under the new format council will host a QUESTION & ANSWER period to start each council meeting. Residents will be afforded 2 minutes to speak directly to council and staff in a public forum. 2. Transition neigh along North Bluff outside of the Town Centre. -Council endorsed moving forward with the proposed one location for cannabis sales in White Rock. The trial business license will be for three years and if a successful applicant comes forward with a suitable location the city of White Rock will entertain a business license. +-Council has scheduled a public hearing for the application put forth by Three Dogs Brewery for relocation and expansion at 1515 Johnston Road. The public hearing will occur December 03 and a special council meeting will follow that day to review public input. The special meeting has been called to expedite the application in order to capitalize on the busy holiday season. +Council did not pass the water rate increase proposed by staff. The motion that would have seen single family homes pay an additional $4.00 per month and individual strata owners would pay $1.00 more monthly. Councilors Fathers/Chesney and Mayor Walker voted to support the recommendation. the motion was defeated 4-3. +Council approved an additional $775,00.00 to complete the Memorial Park project. At last night's regular council meeting, City Council unanimously approved two hour free parking for on-street parking around Surrey Memorial Hospital (SMH) and at the City Hall Parkade. With Council’s decision tonight, the 103 on-street pay parking spaces around SMH and up to 165 spaces for the public at the City Hall Parkade are free of charge for the first two hours for visitors. The two hour time limit has been implemented in order to ensure that the spots are being utilized as intended and discourage external users, such as park-and-ride, from occupying the stalls for an extended length of time. The GEORGIA STRAIGHT weighs in on why they think Surrey should stay with Light Rail. An interesting perspective. The walls are up and windows are going in! Amazing progress being made to our new Residential Care Facility featuring the George and Sylvia Melville Hospice Home being build adjacent to the hospital. Drive by to see the progress today. 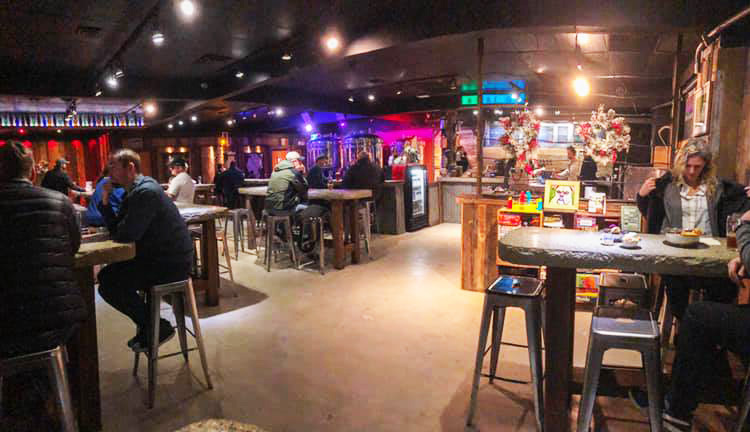 Three Dogs Brewing who were just nicely settling into their new home last year in the Royal Bank Plaza, when word came down the plaza had been sold. It appeared that the craft brewery would have to move out of White Rock due to the lack of a suitable location. The closing of the grocery store located on Johnston Road @ Russell avenue turned out to be very fortuitous for Three Dogs. The capacity in the new location would be considerably more and the owners propose a large outdoor patio on Johnston Road. 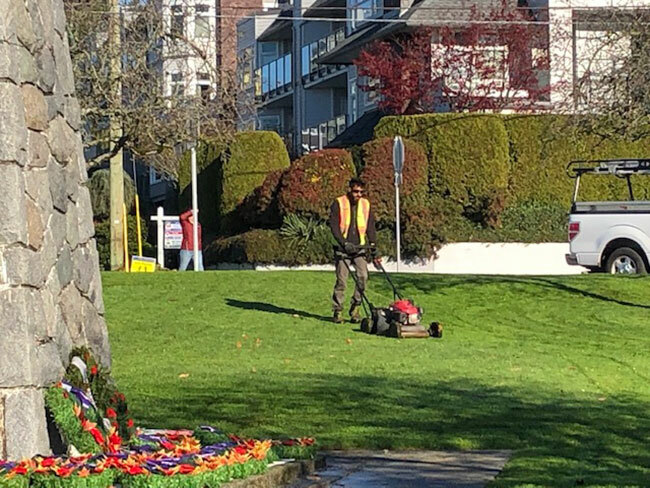 Well as White rock recorded Canada's high temperature Friday (15.7 Celsius) , a city worker in White Rock decided the lawn needed a trim. ...but up at SAVE ON they have winter on their mind. Do they know something we don't? 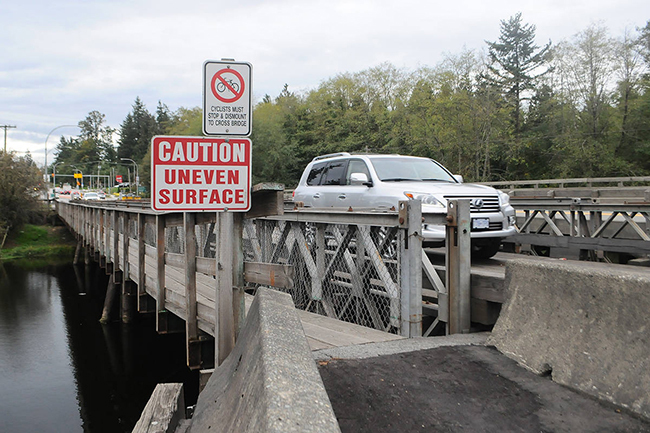 Crews will be repairing the single-lane Bailey Bridge crossing of the Nicomekl River in south Surrey and northbound traffic will be diverted onto the adjacent two-lane structure from Nov. 19 to Nov. 26, 2018. At its first meeting since the civic elections last month, the Mayors’ Council on Regional Transportation has endorsed the City of Surrey’s decision to cancel light rail and switch the technology to SkyTrain. 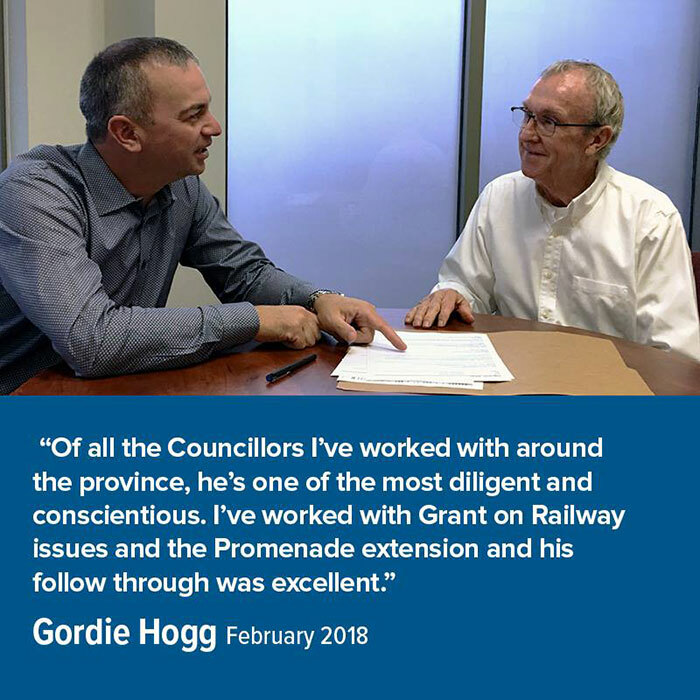 On November 5th, after taking the Oath of Office, Surrey City Council convened a Regular Council meeting where a motion was introduced and passed unanimously to cancel the Surrey Newton Guildford LRT project and to begin work on extending the existing SkyTrain network in Surrey from King George Station to Langley City. The City’s Engineering and Transportation staff have already started work on the SkyTrain project in Surrey. The decision made today at the Mayors’ Council’s meeting is a significant step forward in realizing a new SkyTrain rapid transit line in Surrey. The Mayors’ Council’s report on “South of Fraser Rapid Transit” can be viewed in its entirety here. 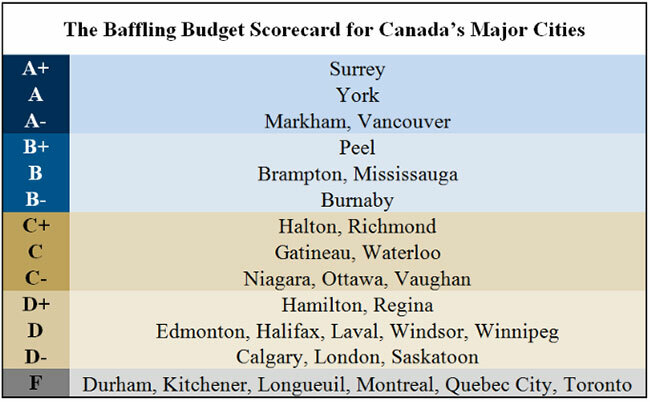 - Canadian cities get failing grades on financial transparency. The C.D. Howe Institute compared the budgets and year-end financial reports of 31 of Canada’s largest municipal and regional governments, and 16 of them got grade of D or F.
Wednesday evening at supper time a pedestrian was struck near the intersection of 176th street & 8th Ave near Campbell Valley General Store. Witnesses on the scene reported the individual that was struck was crossing mid-block in the dark. The pedestrian suffered very serious injuries and was flown by helicopter to hospital. White Rock Is A Dangerous City? The current edition of MacLeans Magazine on newsstands now ranks Canadian cities and how safe each city is. White Rock ranks in the top most dangerous cities to live. White Rock ranked in the Top 100 dangerous cities. It would appear our ranking ratings were high due to an above average incident of fraud based largely on part on our above average senior population. Does a lack of diversity on council put municipalities at risk? Local politics are often viewed as an entry point into political life – as a result, we might expect to see councils that are more diverse. However, that expectation is simply not borne out. 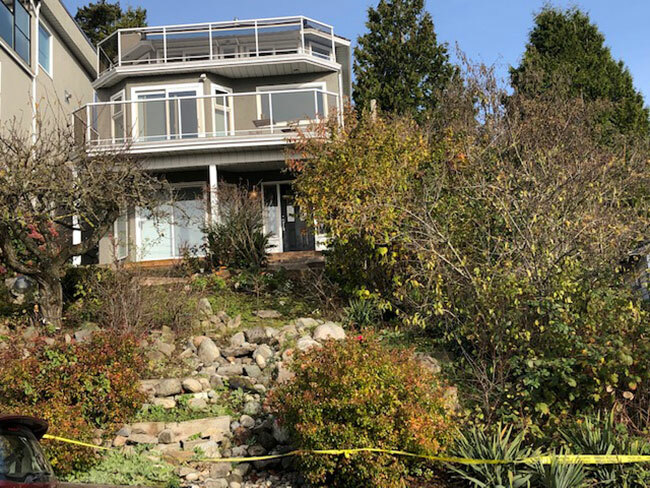 On (Sunday Morning) November 11th, 2018 at 00:04 hrs, White Rock RCMP received several reports of shots fired in the 15500 block of Columbia Avenue. Callers reported hearing 3-6 loud pops from outside a residence, which was later determined to be a short term rental property. Police were advised that there were approximately 30 people partying and that they were fleeing the residence following the loud pops. Police arrived and located a male victim a short distance away from the house, who had suffered a non-life threatening gunshot wound. This male was treated at hospital and was subsequently released. He is not cooperating with the police investigation at this time. Police initially arrested two adults and one youth who fled from police as they attempted to stop their vehicle leaving the scene of the shooting. The investigation has now cleared the males of being involved in the shooting and they have subsequently been released without charge. The investigation is ongoing and police are canvassing the area for video surveillance. 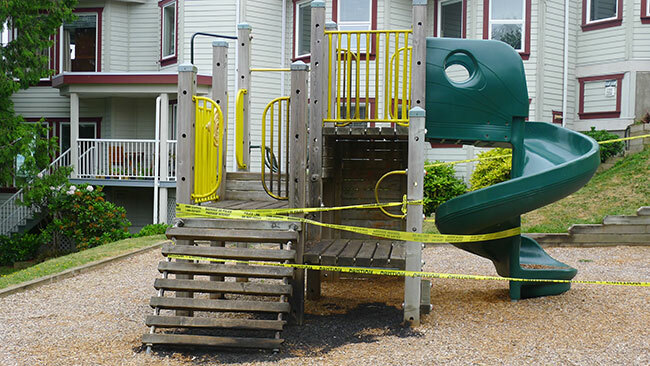 White Rock RCMP are requesting if you have any information regarding this investigation to please contact Cst. Laura Shaw at 778-593-3632. Surrey RCMP is currently on scene in the 8000 block of 153A Street of Surrey for a report of shots fired. At approximately 1:28 PM on November 12th, 2018, Surrey RCMP responded to a report of shots fired in the 8000 block of 153 A Street. Officers attended and located evidence to support that shots had been fired in the area . Initial information was that the shooting was between two vehicles which had fled the area. No victim has been located at this time. Officers are on scene and will be conducting neighbourhood canvassing and speaking with witnesses to obtain further information regarding this incident. This may result in minor traffic disruption. Late Tuesday afternoon our newly elected mayor DARRYL WALKER informed council and staff he wished to call an extra ordinary meeting of council. 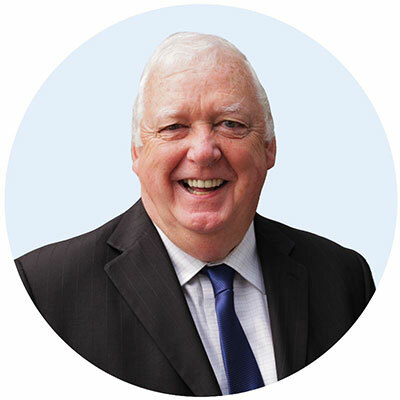 The reason for the meeting was to address quickly one of the campaign promises mayor WALKER and his fellow Democracy Direct councillors had made during their run up to being elected. A key point in their platform was a review of the newly created OCP which Democracy Direct felt had erred in a number of different zones. WALKER had also asked senior staff if there was any way the current council could slow down the rate of development while the review was taking place. Staff informed WALKER and inadvertently council if a building permit had not been issued then the project could be put on hold while the OCP was being reviewed. Staff then indicated to WALKER and council there were only three projects that fell into this category. ......plus the Forge properties application in the 1400 block of Johnston Road. Council indicated only the two projects south of Thrift road on Johnston Street would need to be held in abeyance until after the review took place. Council now has 60 days to quickly review the current OCP and to bring forth any changes they would like to see. 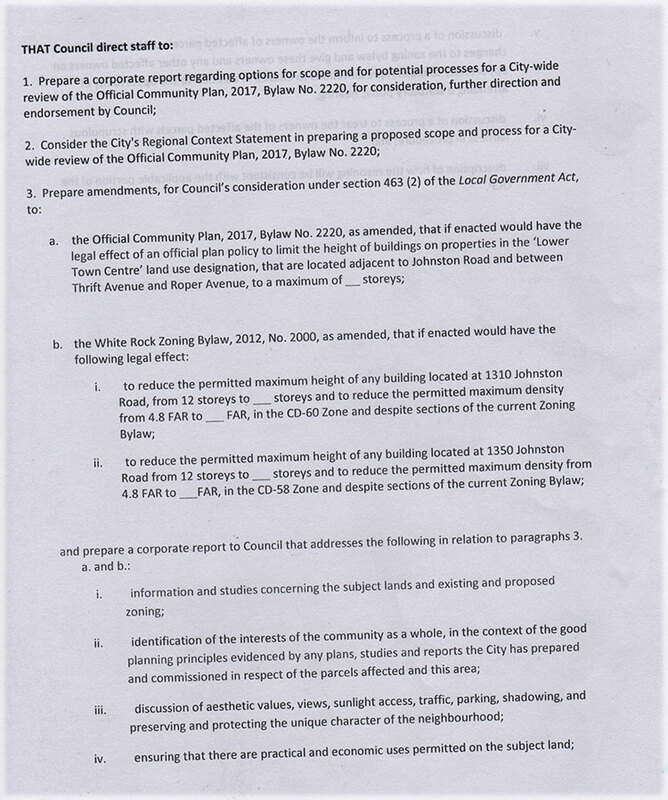 Councillors ERIKA JOHANSON and ANTHONY MANNING did not support the motion to proceed with allowing any height about 3 stories south of Thrift. The motion passed 5-2. The next regular meeting of council will be Monday November 19 @ 7 p.m. city hall. The 22 year old victim was found outside a home on 70-A Avenue near 142nd Street just after 1:30 this morning. The Integrated Homicide Investigation Team is now in charge of the case. IHIT took conduct of the investigation and has been working closely with its partners from the Surrey RCMP, the Integrated Forensic Identification Services and the B.C. Coroners Service to gather evidence. 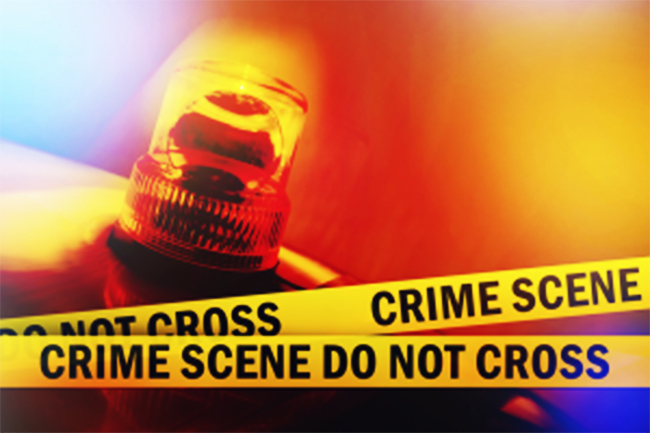 It is early in the investigation but detectives believe that this was a targeted incident and is associated to the ongoing gang conflict in the lower mainland. "Although investigators are still working to determine the motive behind this homicide, there are no indications of an increased risk to the public as a result of this incident" says Cpl. Frank Jang of IHIT. White Rock RCMP do not make this information available for the public. 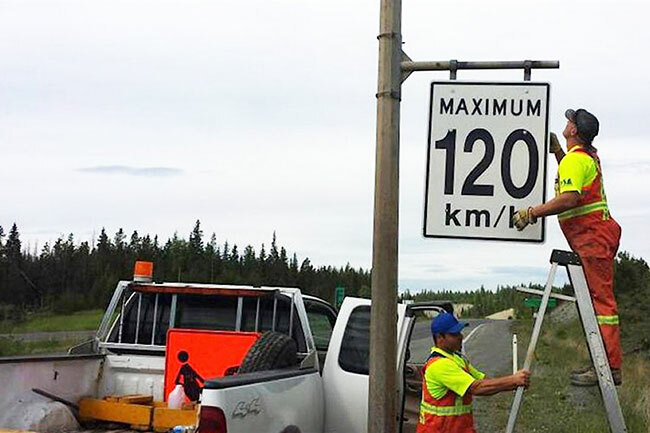 The speed limits are being rolled back by 10km/h on several sections of highway, including Highway 99 from Horseshoe Bay to Pemberton, Highway 1 between Whatcom Road and Hope, and parts of the 97C. Last month, a study found fatal crashes have doubled on some routes where maximum speeds were boosted back in 2014. 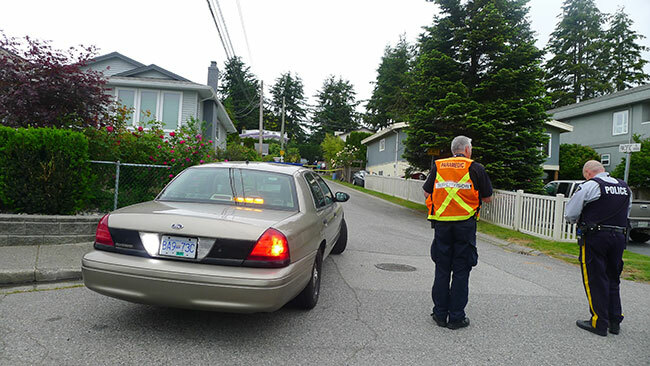 In the early morning hours of July 18, 2015 South Surrey resident HUDSON BROOKS was fatally wounded during an exchange with a South Surrey RCMP officer outside of the detachment located on Johnston Road @ Martin street. Family members and supporters were in attendance yesterday at Surrey Provincial court to witness the beginning of the trial by judge and jury. It is a preliminary trial that will run this week to Thursday and then December 18, 19, 20 and 21. The judges has imposed a publication ban. The official swearing in ceremony of the 2018 White Rock council took place last evening at the White Rock community centre. Mayor DARRYL WALKER'S speech signaled a new era of governing had arrived in White Rock with the election of the new council. Guest of honour included HARLEY CHAPPELL (leader of the Semiahmoo First Nations) who sang a welcoming song, past White Rock mayors JUDY FORSTER/CATHERINE FERGUSON/HARDY STAUB and current MP GORDON HOGG, former White Rock councillors, MARGARET WOODS/DAVID WEBB/LOUISE HUTCHISON/DOUG MCLEAN/KEN JONES/BILL LAWRENCE and current school board representative LAURA MCNALLY. 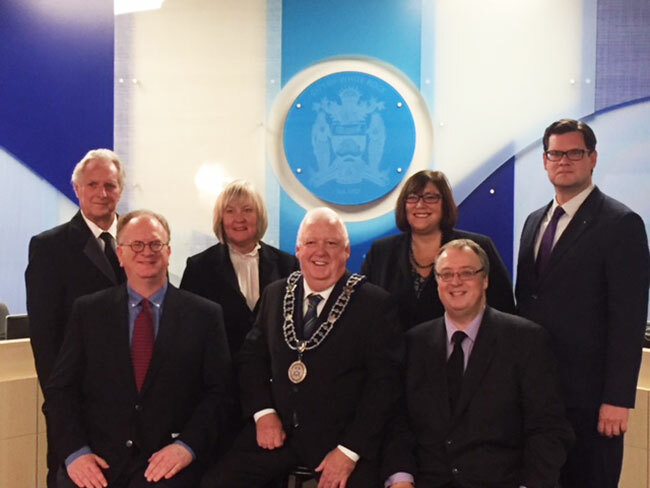 Mayor Doug McCallum and the new members of Surrey City Council officially took the Oath of Office at an inauguration ceremony held this evening at City Hall. 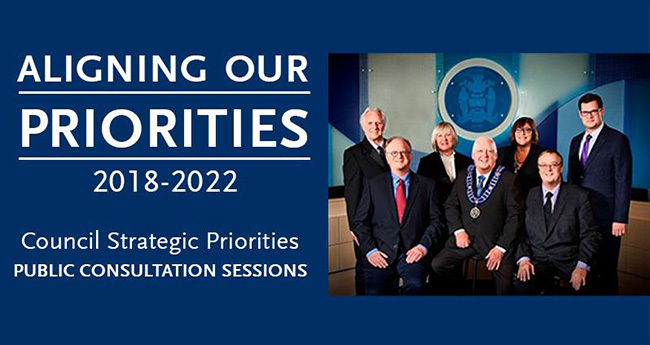 Immediately after being sworn into office, Surrey City Council convened a Regular Council meeting where a motion was introduced and passed to cancel the Surrey Newton Guildford LRT project and to begin work on extending the existing SkyTrain network in Surrey from King George Station to Langley City. 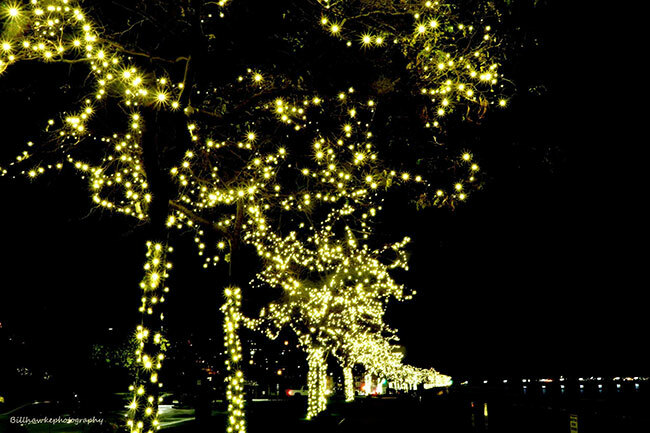 The city of White Rock has now completed the replacement of the tree lights along the city's waterfront promenade walk. Last year the community was thrilled with all the new lighting, which unfortunately did not turn out to be compatible located in close proximity to the ocean where the wind and rain caused major damage. Here's hoping the new lights fare better. Following a complex year long investigation by Surrey RCMP, charges have been laid in connection with a two motor vehicle collision which occurred on May 3, 2017 in Cloverdale. It is alleged that collisions involving the same suspect vehicle, resulted in bodily harm to one victim and the death of 17-year-old male youth. 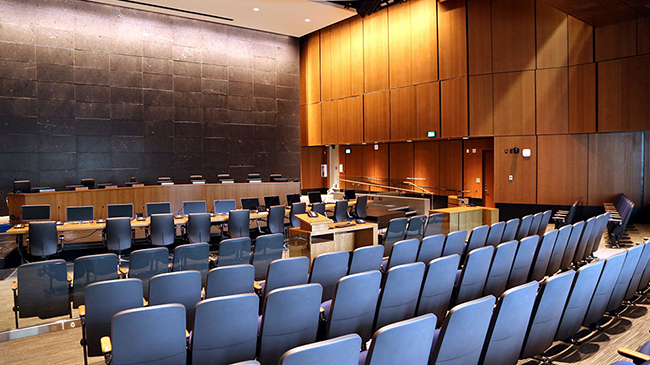 Rituraj Kaur Grewal of Surrey, has been charged with criminal negligence in the operation of a motor vehicle causing death, criminal negligence in the operation of a motor vehicle causing bodily harm, and failing to remain at the scene of a collision. The charges were sworn and an arrest warrant was issued on Monday, October 22, 2018. Grewal appeared on Tuesday, October 23, and was released on conditions. Her next scheduled court date is November 13, 2018. "This was a tragic incident that claimed the life of a promising young athlete in our community and injured another person," says Cpl Elenore Sturko. 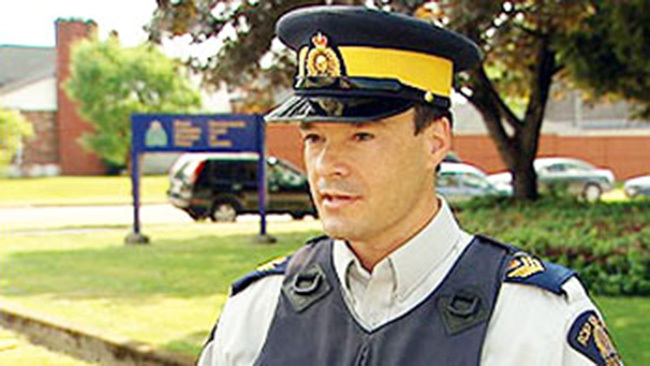 "The Surrey RCMP continues its priorty of road safety in our community by way of enforcement, education and prevention." The family of the male youth has asked that their privacy be respected during this difficult time. 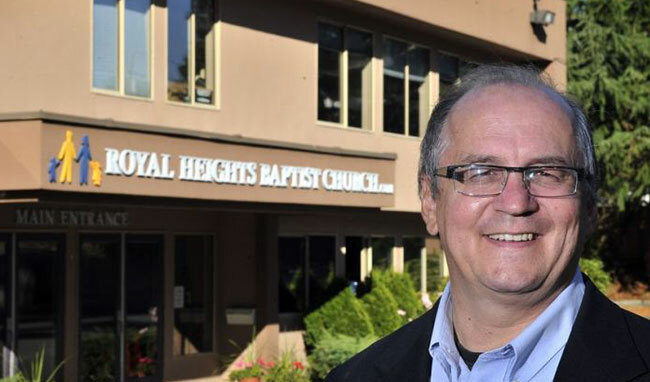 A British Columbia Securities Commission (BCSC) panel has found that two Surrey residents – a pastor and his son – and a White Rock resident committed fraud against two people in a real estate related investment scheme. The panel also made fraud findings against three corporate entities – Braun Developments (B.C.) Ltd., 0985812 B.C. Ltd. (TerraCorp Investment Ltd.), and 8022275 Canada Inc.
A BCSC panel found that Alan and Jerry Braun, and Steven Maxwell (a.k.a. 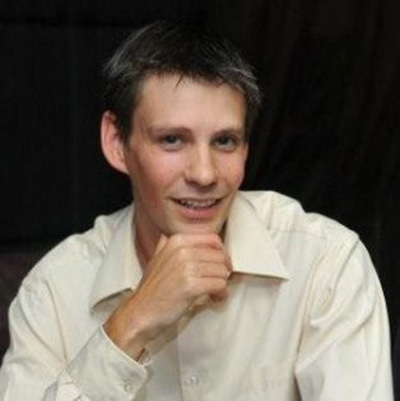 Steven Fassman), committed fraud when they took $450,000 from two investors in three different transactions. "In each case, the prohibited act or deception clearly resulted in the risk of deprivation and, ultimately, actual deprivation to the investors," the panel said in its findings. The panel also found that Braun Developments and 8022275 Canada Inc. committed fraud with respect to the three investments in the amount of $450,000, and TerraCorp Investment committed fraud with respect to two of the investments in the amount of $300,000. Alan and Jerry Braun, both directors and officers of Braun Developments and TerraCorp Investment, were responsible for directing the affairs of both entities. Maxwell was a director of 8022275 Canada Inc. and was responsible for its affairs. The three men and the companies that they controlled deceived the investors by leading them to believe that they were purchasing real estate investments in Edmonton that would yield very high returns in a short period. In the end, the Brauns and Maxwell did not use the investors' money to invest in real estate. Instead, they used the investors' money for other purposes, including for their own personal living expenses. 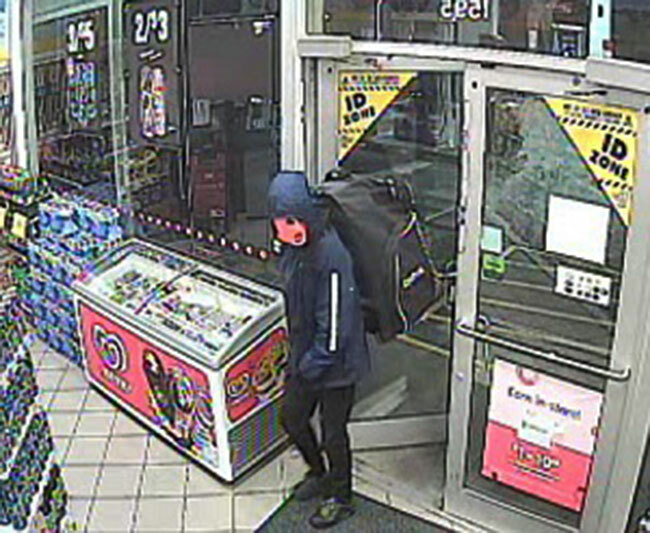 White Rock RCMP are requesting the public’s assistance in identifying the suspect who robbed the 7-11 Esso located at 1595 Nichol Rd. White Rock, BC on Sunday October 21st, 2018 at 0515 hrs. The suspect entered into the store through the main doors and physically assaulted and threatened the clerk before stealing cigarettes, lottery tickets and cash. pulling a backpack on wheels. 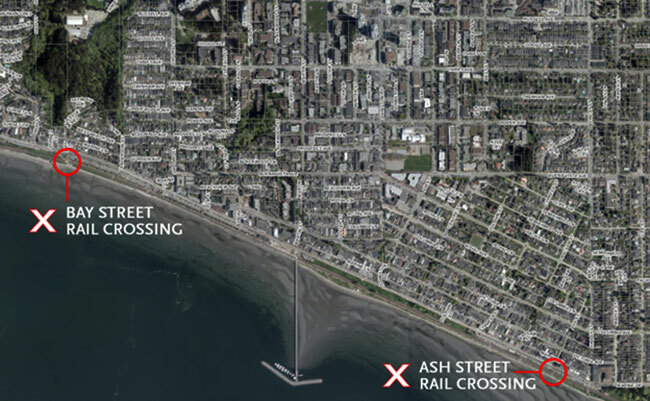 Construction work for the At-Grade Crossings Project will begin this month at Ash and Bay Street Crossings for improved signalization and crossing approaches for pedestrians as part of the federal funding toward rail safety-related projects on the Peninsula. The main driver for this project is to increase rail safety and to enable application for whistle cessation. The project will improve accessibility of the crossings and provide an audible warning to pedestrians for approaching trains. 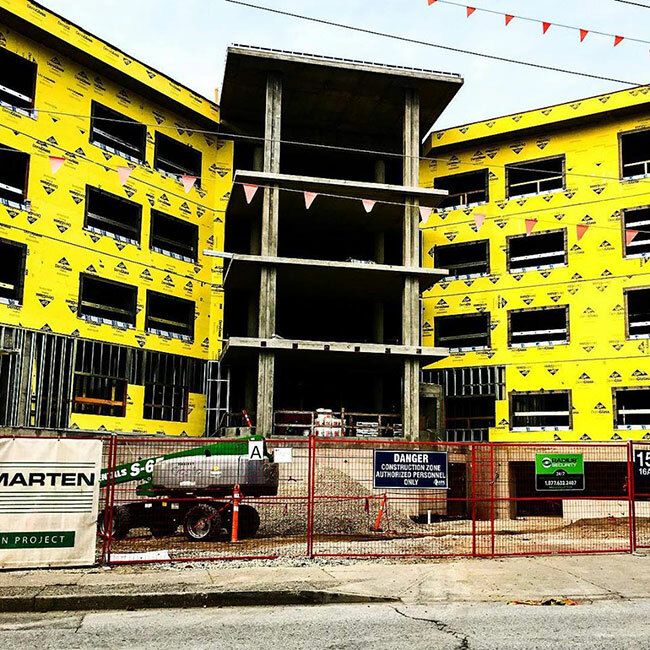 Construction will take place between 7:30 a.m. and 7:00 p.m. in keeping with the City’s Noise Bylaw and is expected to be completed in May 2019. How Did The Rest Of The Province Vote? 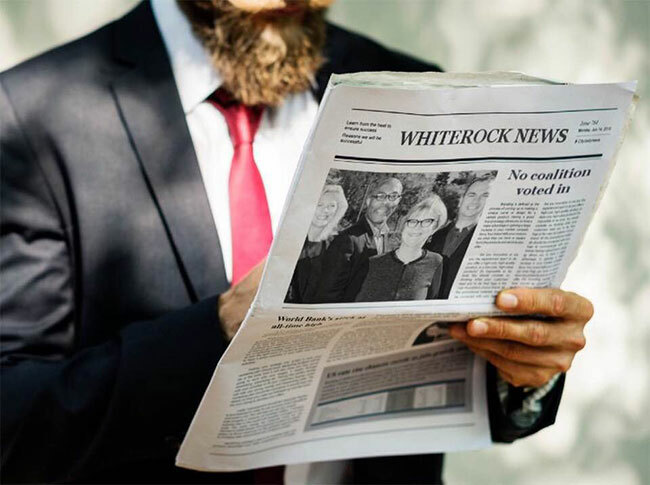 Read the final election results for White Rock. The turnout for this election was above normal checking in at 38%. Find out where the votes came from and where they went. There has been no official word on the cause of the blaze that destroyed the two condo complexes at 5 Corners Sunday. What we do know is there were no less than four fires set throughout the city of White Rock and close proximity Sunday morning. Major condominium fire on Royal and Pacific Avenue. 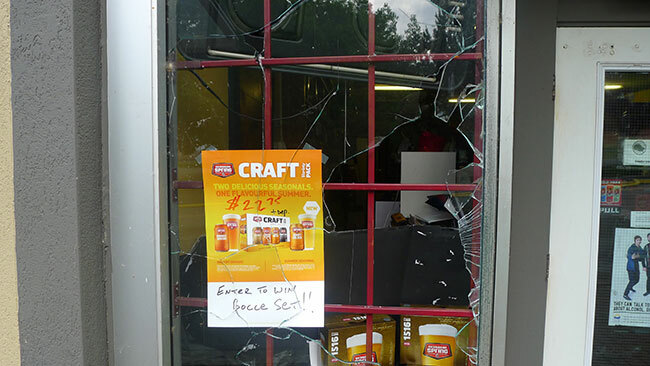 Time 4:30 a.m.
Sandpiper Liquor store is broken into @ 5:10 a.m. Owner confirmed the CCTV cameras captures clear pictures of two suspects robbing the liquor out of the window. 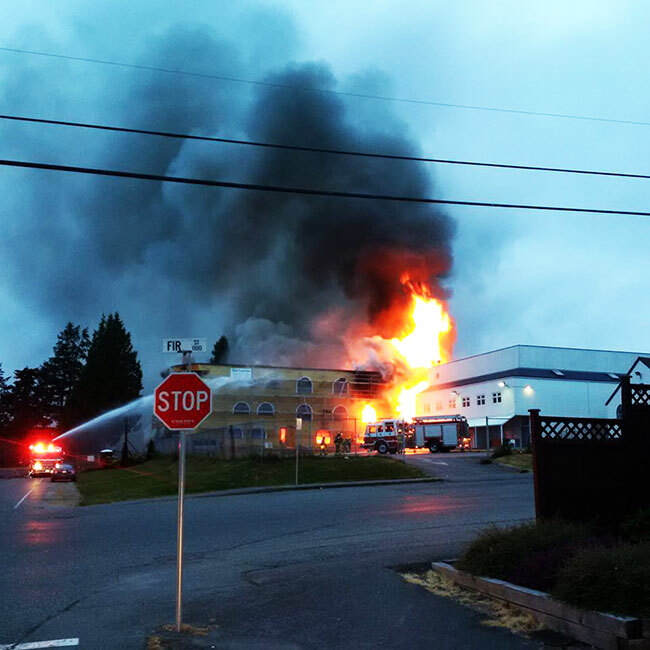 12 noon residents of the Semiahmoo First Nations witnessed an individual attempting to start a building on fire behind the band's office. The Surrey RCMP responded to the 911 call and took the suspect into custody. The suspect taken into custody Sunday appeared in Surrey Provincial court Tuesday morning where he was charged with arson damaging property. The accused is 18 year old JAMES DYER of Surrey was released on his own recognizance. The White Rock & Surrey RCMP continue their very active investigation today. 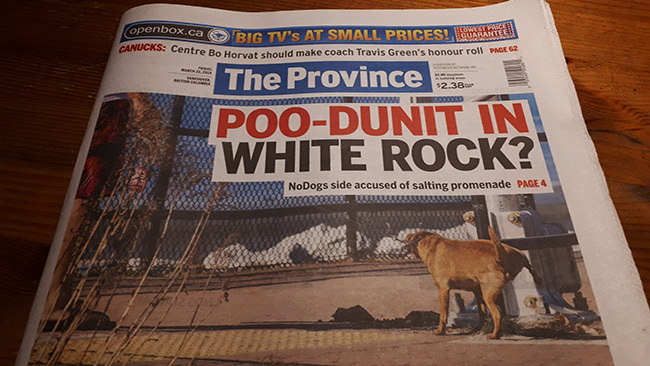 That's the headline you will see when you pick up your copy of THE PROVINCE today. 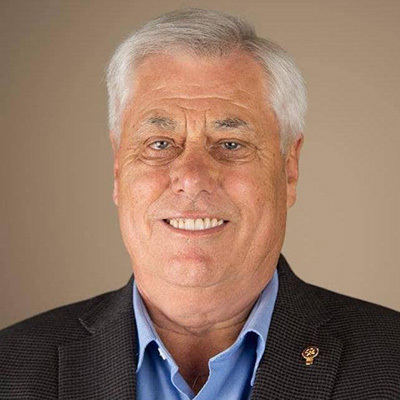 White Rock mayor WAYNE BALDWIN and former White Rock resident and council candidate DENNIS LYPKA go head to head on the pro's and con's of White Rock rejoining Surrey. 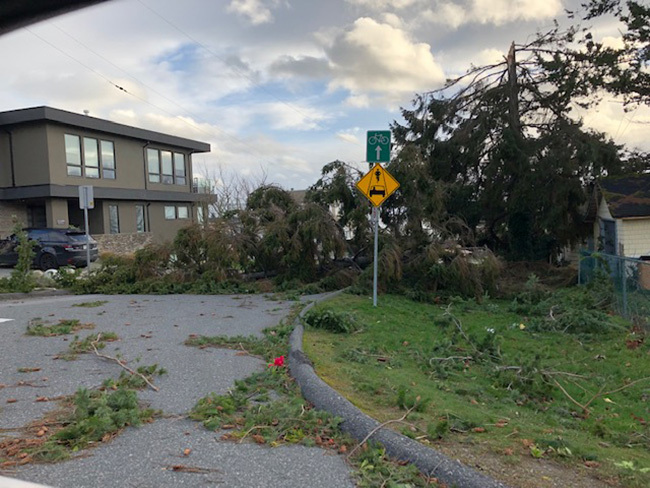 White Rock resident and traffic reporter for WX1130 DARREN "Danger" GRIEVE sent along this picture taken yesterday afternoon. 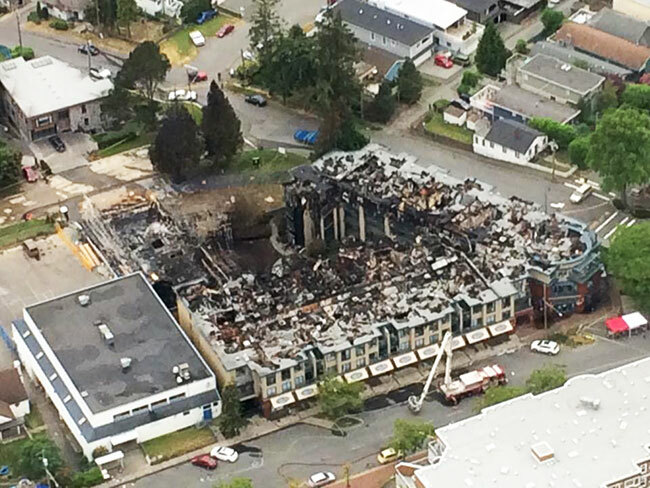 The fire started at the rear of the condo project under construction pictured in the top left hand corner of photo. No official announcement has been made yet on whether or not it will be possible to rebuild or if the whole structure will have to come down. 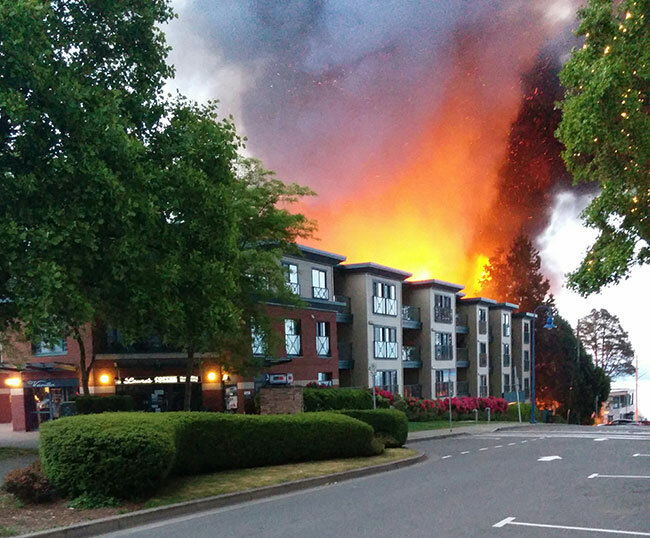 Smoke could be seen for miles as the fire ripped through the condo structures. 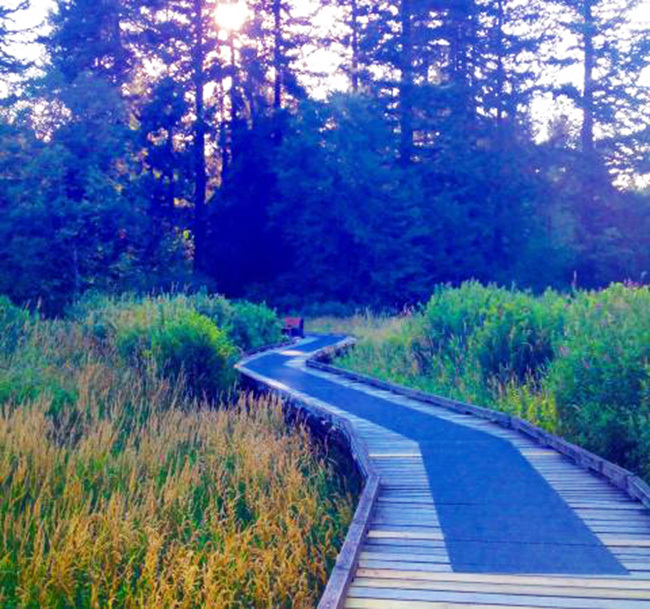 This shot was taken by a reader from the Inn @ Semiahmoo in Blaine. The fire broke out early this morning around 5 a.m. in a wooden three storey condo under construction on Royal Avenue in the 15200 block. The fire quickly jumped to the condo located at 5 Corners. The fire at one point threatened the Star of the Sea hall located next to the condo. Firefighters fought the fire from the roof of the Star of the Sea in order to prevent the fire from spreading. 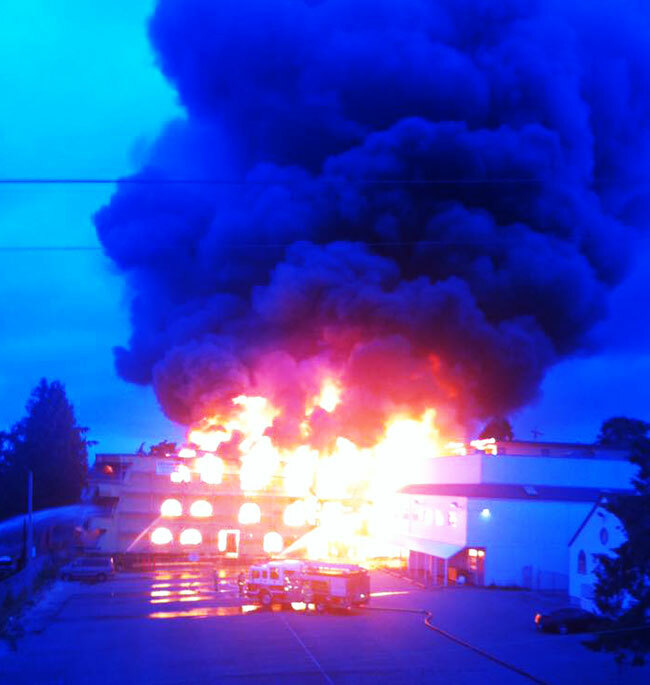 Surrey and White Rock fire crews fought the stubborn blaze for hours before eventually bringing it under control at 8 a.m. The cause of the fire is unknown as the investigation is in the very early stage.